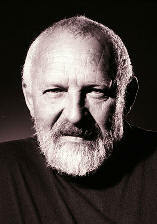 Fox, a native of Bremen IN, earned a Bachelor of Architecture degree from the University of Cincinnati (1963) and a Masters of Architecture degree from the University of Oklahoma (1968). 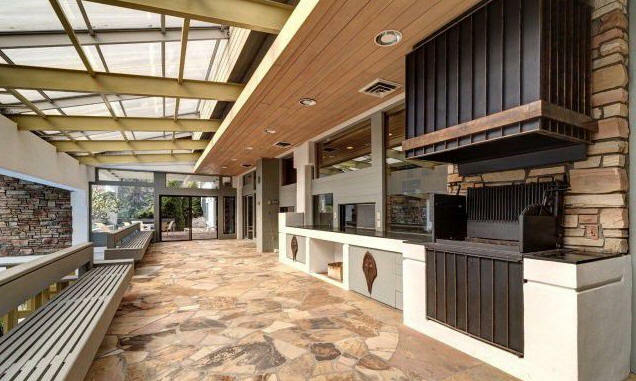 He worked for Place Homes in IN, Federated Stores, George Taylor in Cincinnati OH, Bishop Quinn in OK, and Bob Opsahl in Highlands NC before starting his own firm in 1969 as the area's first Modernist design-build firm. He also taught in an adjunct capacity at Clemson, the University of Oklahoma, and UNC Charlotte. 1958 - The Martha W. and D. C. Dawkins, Jr., House, 871 East Over Drive Road, Highlands NC. 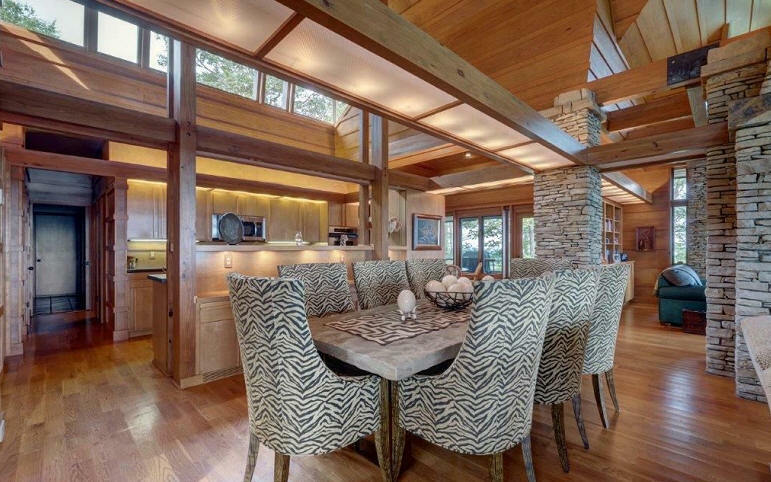 Sold in 1968 to Ralph A. and Novice M. Balazs. 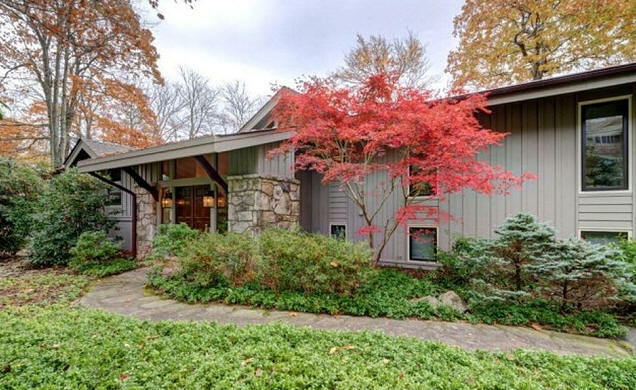 Sold in 1969 to Paul B. and Anna R. K’Burg. 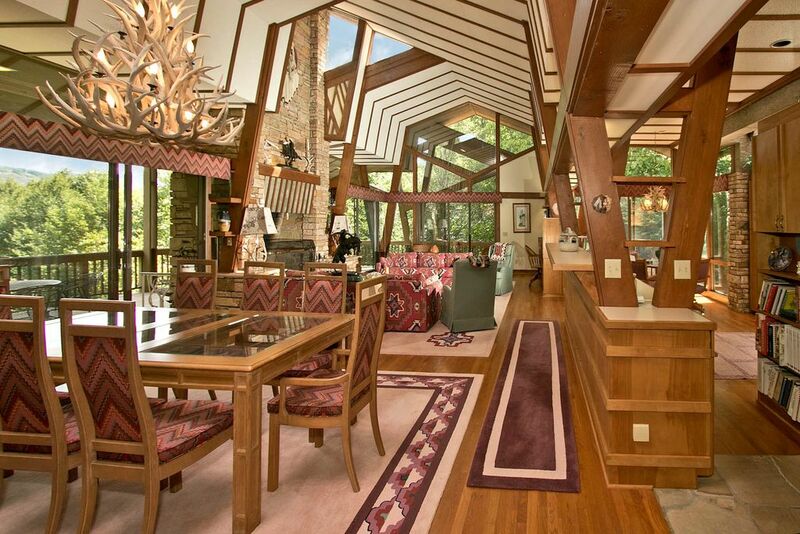 Sold in 1981 to O. Ray and Sara Giles Moore. 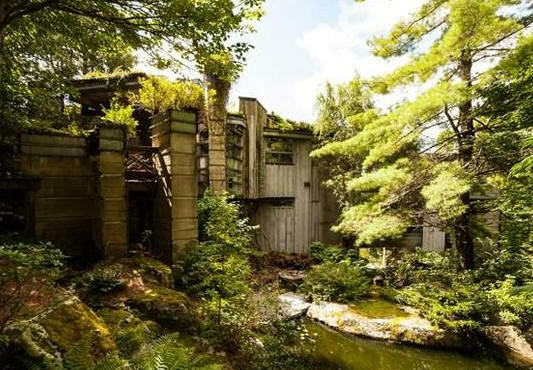 Sold in 1982 to Frederick L. and Elizabeth Healy Muller. Sold in 2018 to Hyonja Lee Abrons. 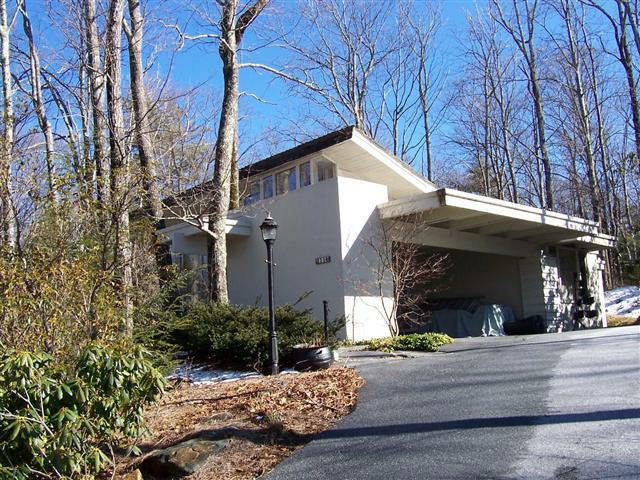 1964 - 49 Hemlock Lane, Wildcat Cliffs Country Club, Highlands NC. 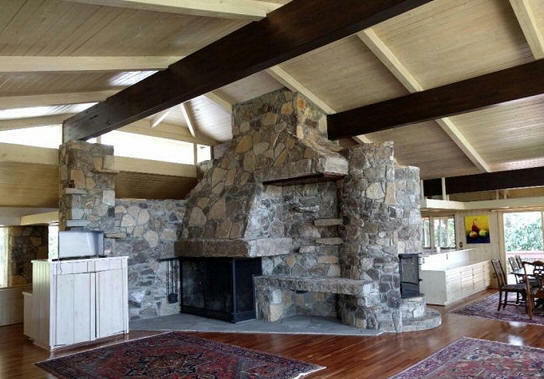 Sold in 1967 to Hugh T. and Mary Eva Harper. 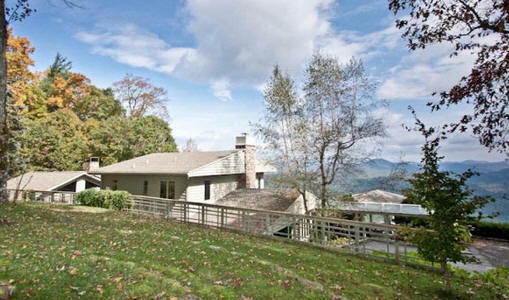 Sold in 1969 to Claudine B. and James Kirkwood, Jr. Sold in 1973 to Betty Keene Crane. 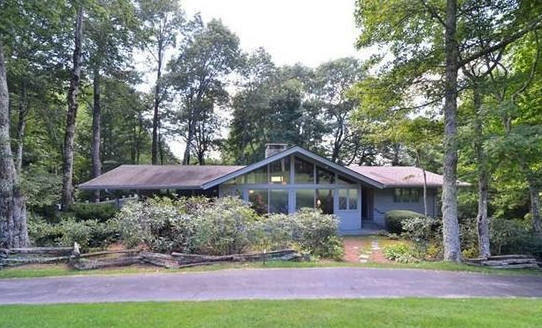 Deeded in 1975 to Robert F. and Vera W. Crane. 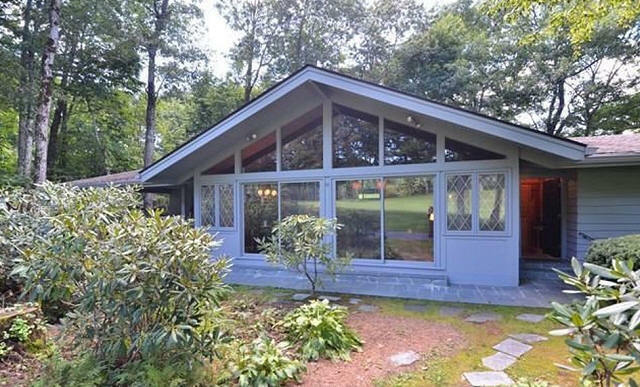 Sold in 1977 to Edward W. and Elizabeth M. Doyle. Sold in 1989 to Merivel M. and Frances H. Smith. 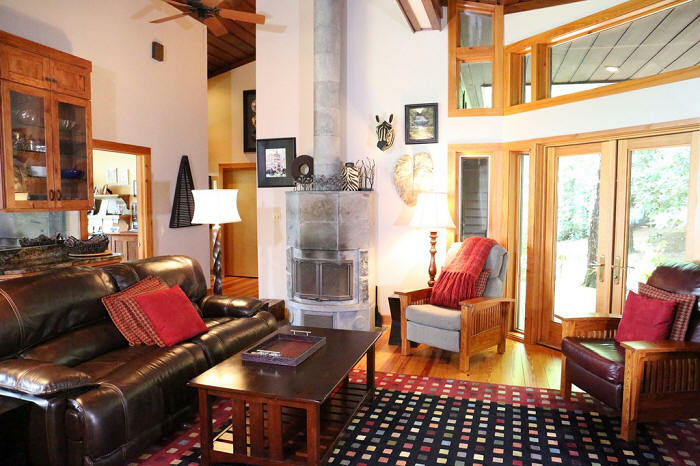 Sold in 2014 to Bruce J. and Sandra C. Host. 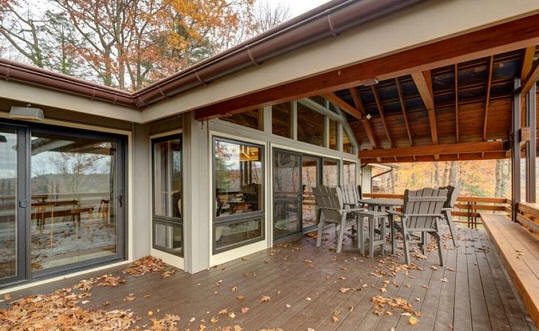 Addition built in 2015. 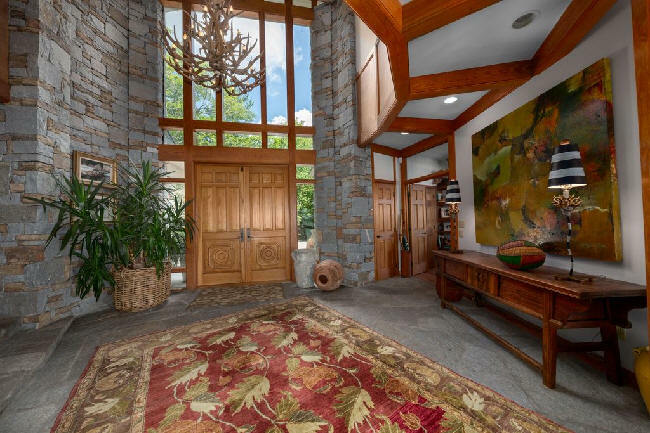 Year unknown - Entrance remodel, 1181 Whiteside Mountain Road, Highlands NC. 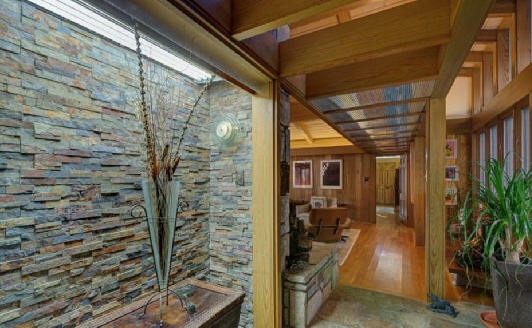 Original house built in 1966. Sold in 2017 to Rodney L. and Wendy M. Spencer. 1965 - The H. King House, Cincinnati OH. Unsure if built. 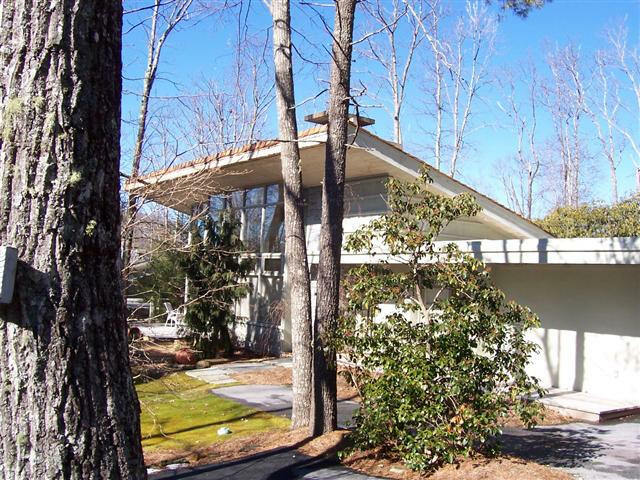 1967 - The deVille House, aka Whiteside Villa, 165 Deville Road, Highlands NC. 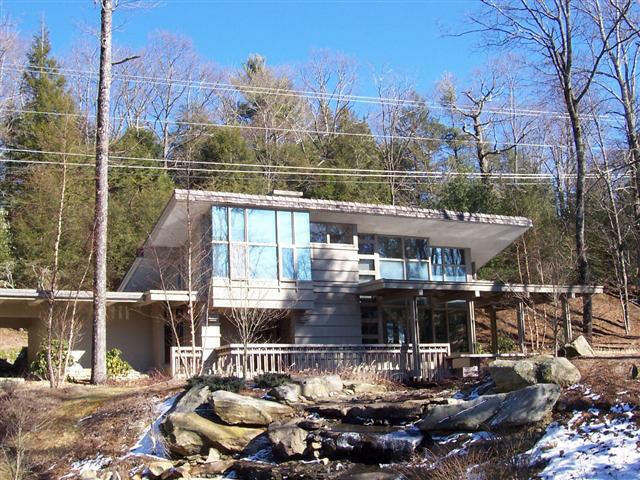 The main architect for the house was Robert Opsahl, with Jim Fox collaborating. Jeff Cox also participated. 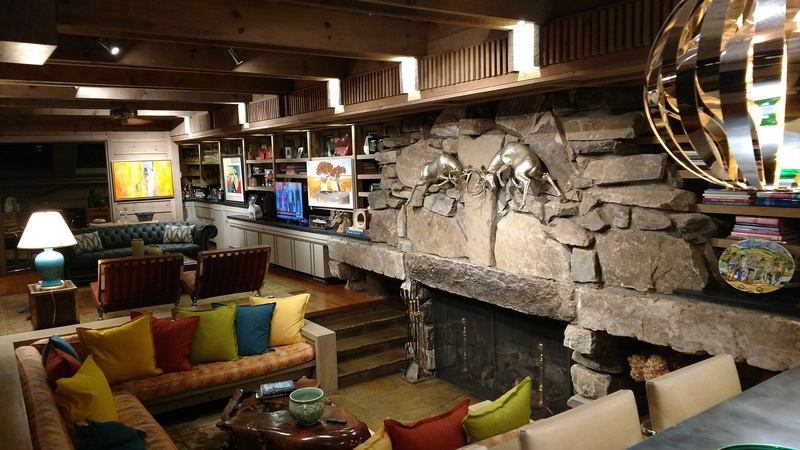 Fox designed the furniture. Available for rental. 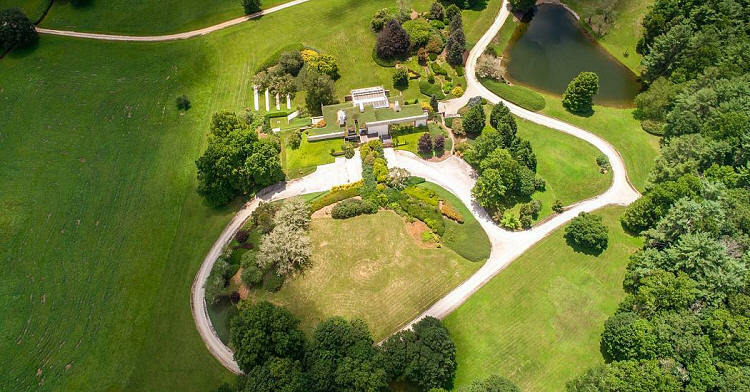 AAccording to granddaughter Anne deVille, "Whiteside Villa was the dream of my grandmother, but the local architects at the time told her, 'You can't build on that rock!' 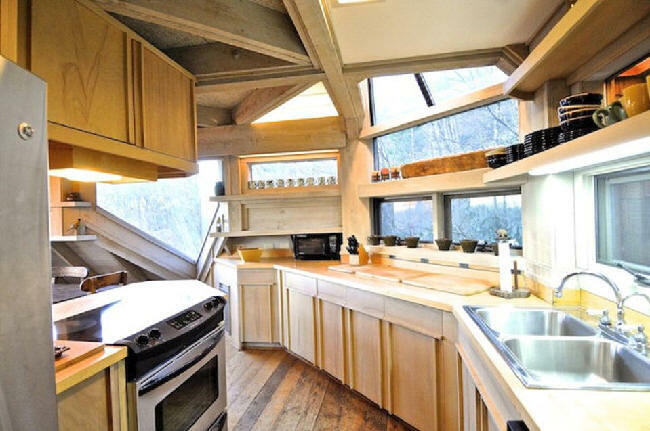 Then my grandmother discovered these 'hippies' who said, 'Not only can you build on that rock, you can have a home that looks like no other.' My grandmother was so smitten with these creative gents, she also asked them to also design her furniture. 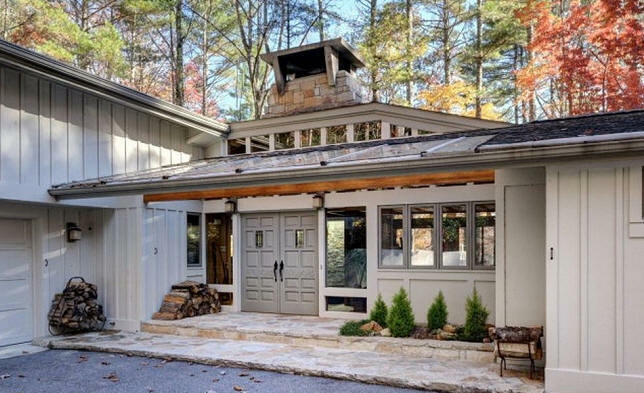 It was the perfect intersection of an artistic client and eager architects wanting to break the mold of conventional home design. 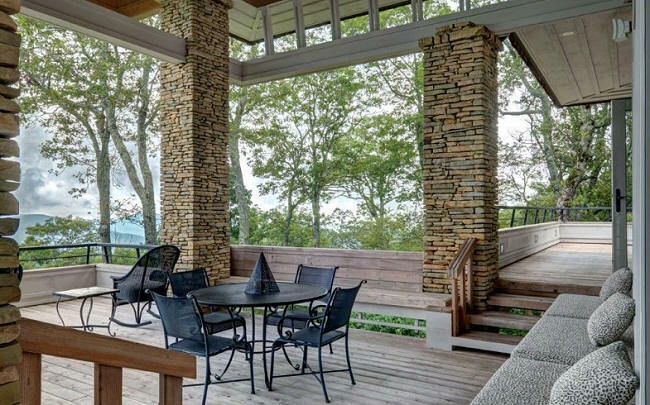 My grandmother wanted to incorporate native stones as well as wormy chestnut from a demolished cabin. 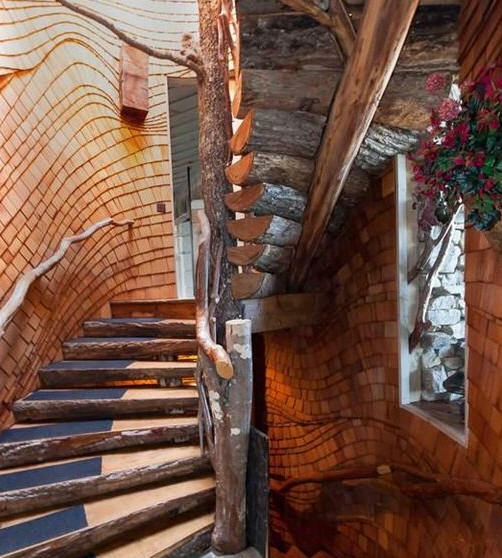 That inspired these young architects even more. 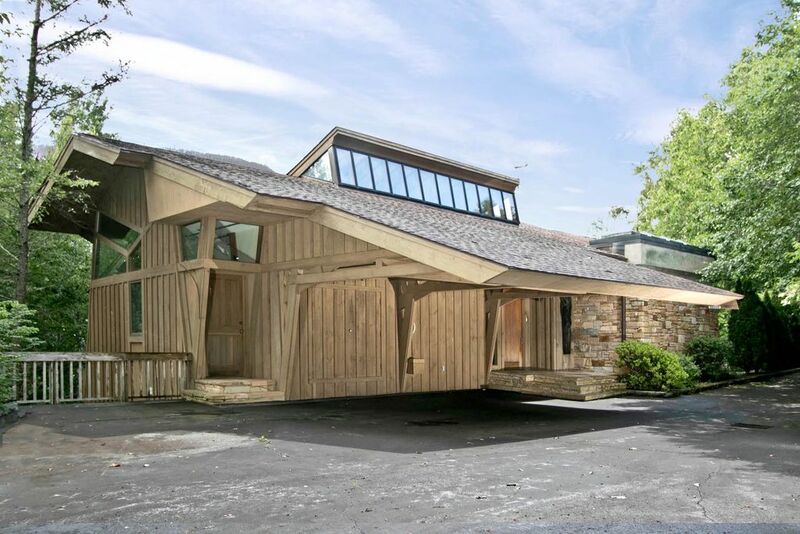 Having grand ideas and designs is meaningless, however, if no one can actually build them. There were incredible craftsmen back then, too, and they vied for the opportunity to show off their expertise. The house has stood the test of time. 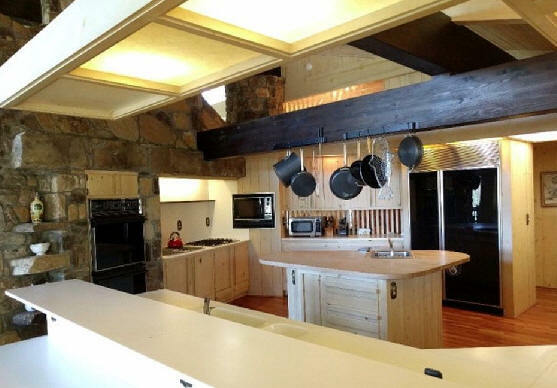 While the harvest gold carpet and avocado green appliances have been replaced, the house remains a structurally sound work of art." 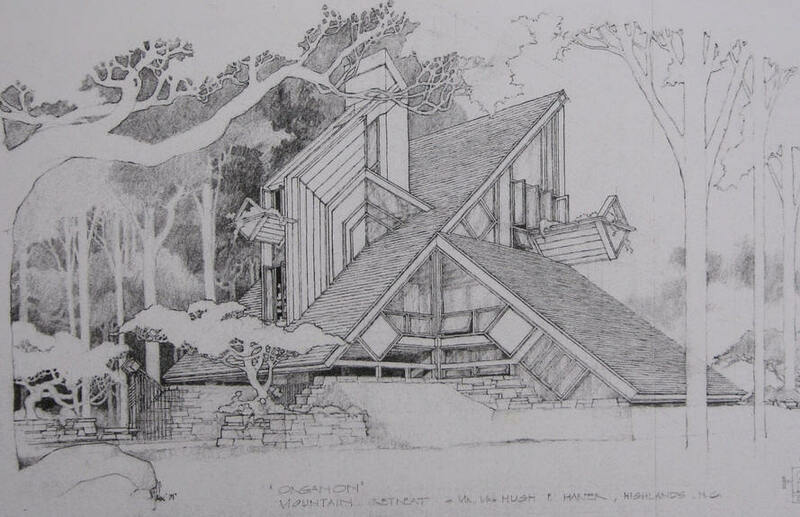 1969 - The Mangurian Residence, Atlanta GA. Unsure if built. 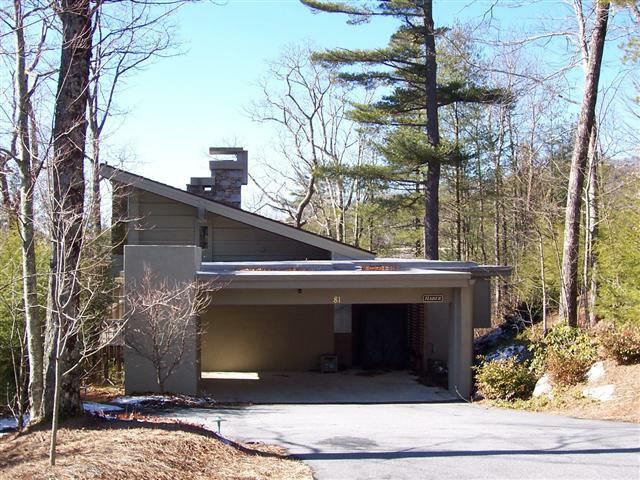 1970 - 602 Country Club Drive, Highlands NC. 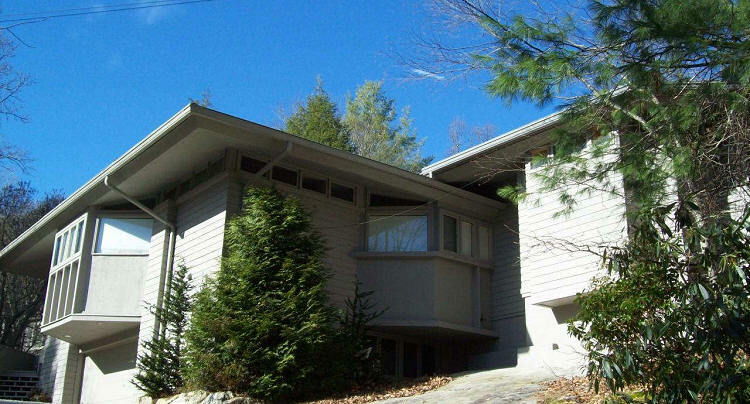 Sold in 1966 to Ema and Thomas Stanfield. 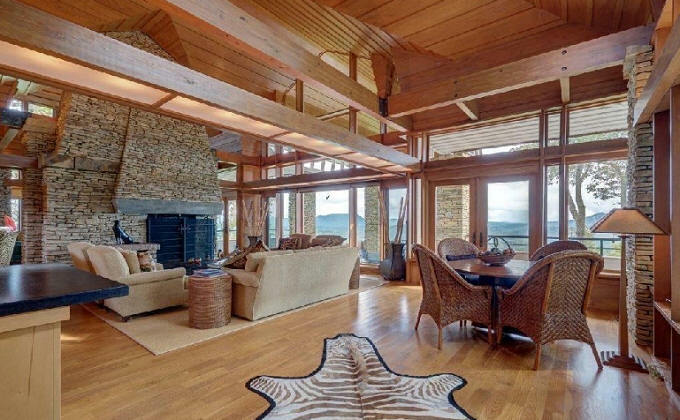 Sold in 1990 to Peggy E. and Charles L. Shackelford. Deeded in 2016 to Peggy E. Shackleford. 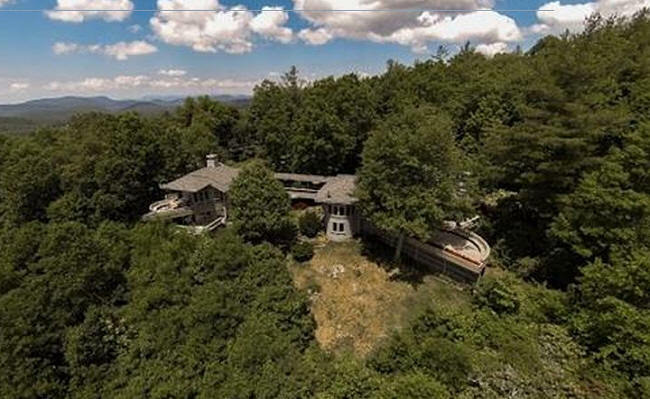 1970 - 805 Whiteside Cove Road, Cashiers NC. 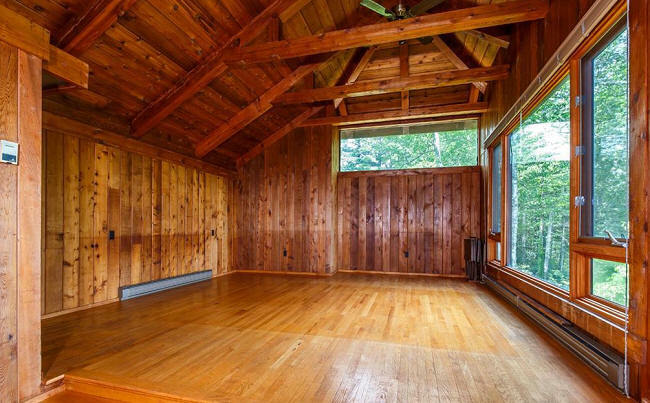 Sold in 1970 to Edward P. Maffitt, Nancy B. Maffitt, and William J. Burke. 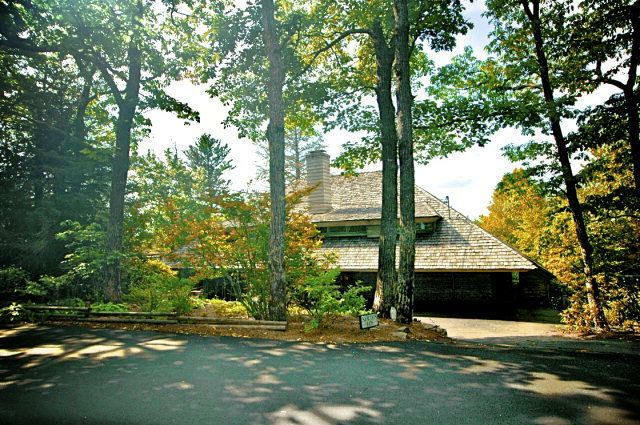 Sold in 1976 to Silver Run, Inc. Sold in 1985 to K. Reid and Janice S. Berglund. 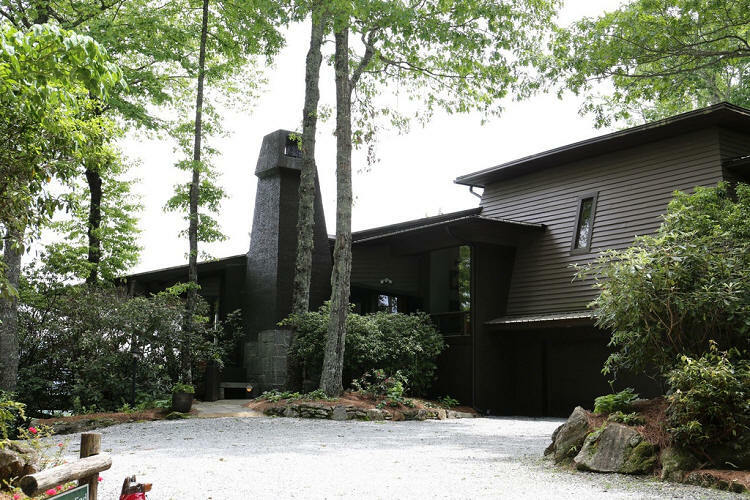 1971 - The Paul W. and Bennie H. Black House, 1190 King Gap Road, Highlands NC. Adjacent to the Tatum House, below. Commissioned 1970. 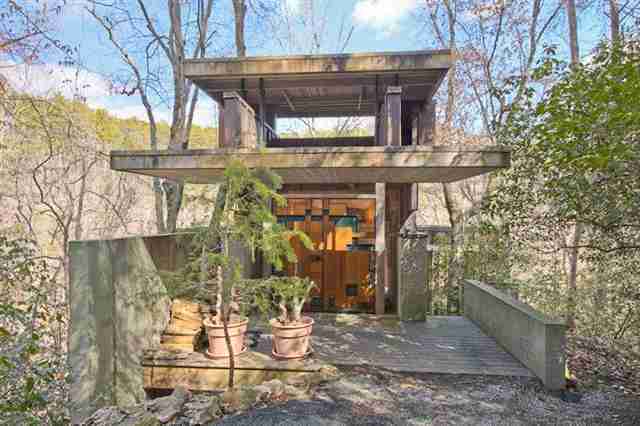 Sold in 1977 to Paul L. Meier and Dorothy M. Gavan. 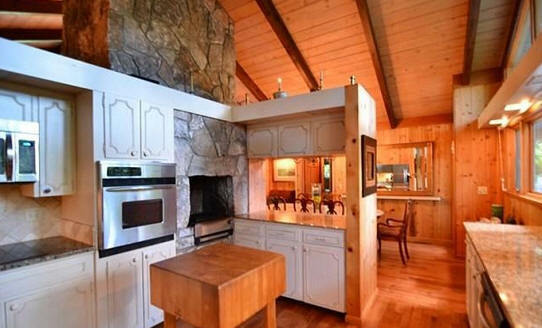 Sold in 1980 to Ronald Gene and Patricia Ann Allen. 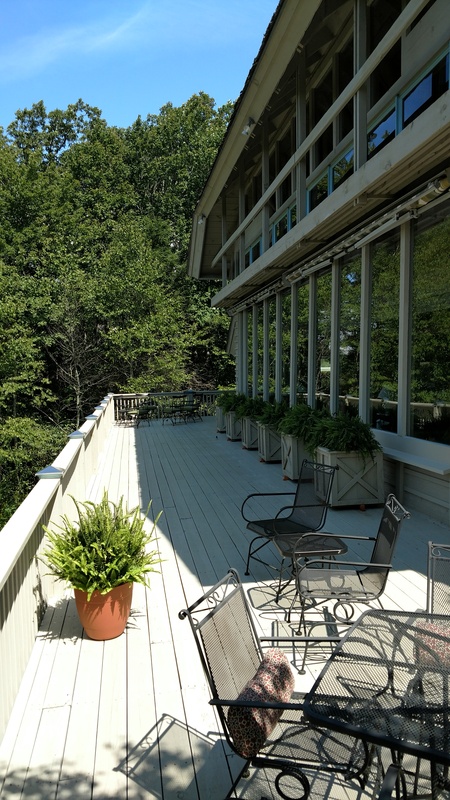 Sold in 1982 to Tharp Plumbing System, Inc. Deeded in 1988 to Ann L. and James W. Tharp, Jr. Sold in 2009 to Mountaintyme Enterprises, LLC. 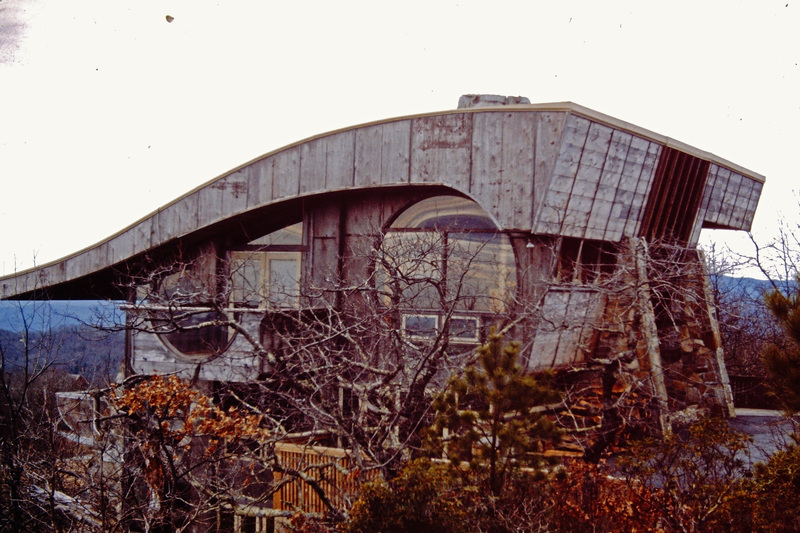 1971 - The Hugh P. Harper House, aka Organon, Wildcat Cliffs, Highlands NC. Unbuilt. 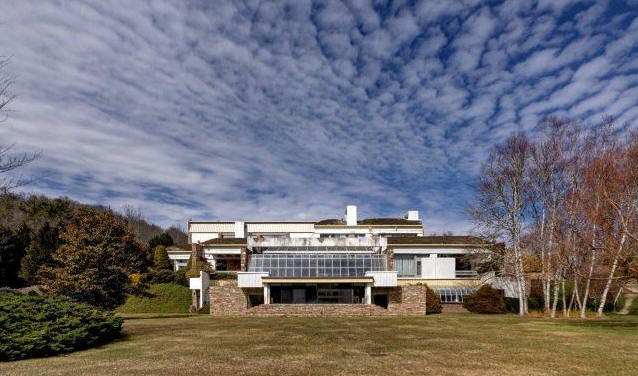 1971 - The Alice and Allan Benjamin House, aka Mountain Crystal, 518 Country Club Drive, Wildcat Cliffs Country Club, Highlands NC. Sold in 1987 to The Fairmont Company. 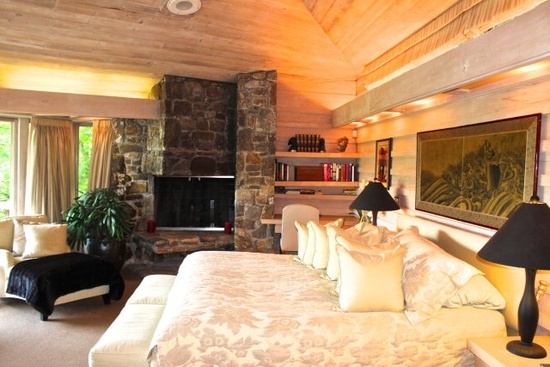 Sold in 1988 to Cheryl A. Lyons. 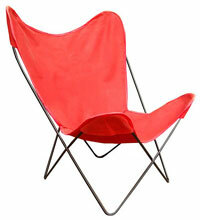 Sold in 1992 to William G. Lambrecht. 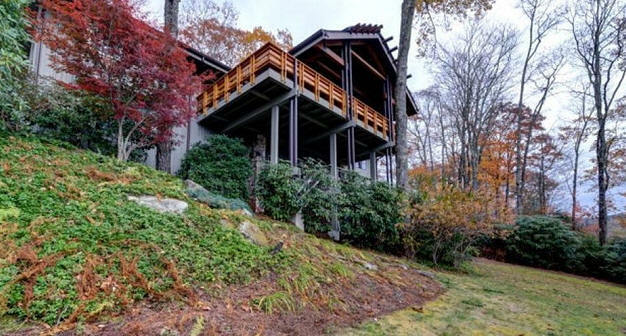 1972 - The Joseph C. and Kathy McKee Tatum House, 1210 King Gap Road, Highlands NC. Adjacent to the Black house, above. Sold in 1981 to Burton L. Reynolds. 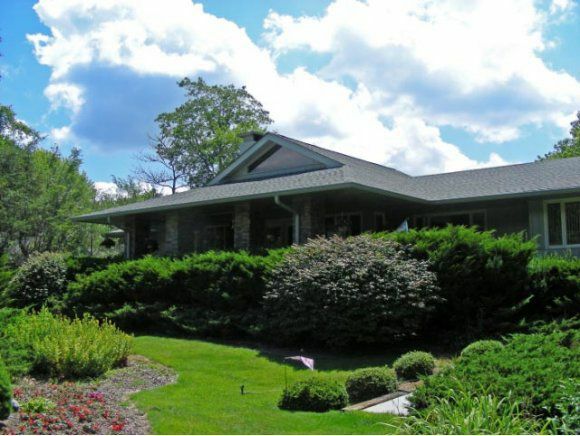 Sold in 1995 to Anita S. and John R. Lupoli, Jr. Sold in 2001 to Jim P. and Marsha H. Meadows, who hired Fox for an addition built around 2002. 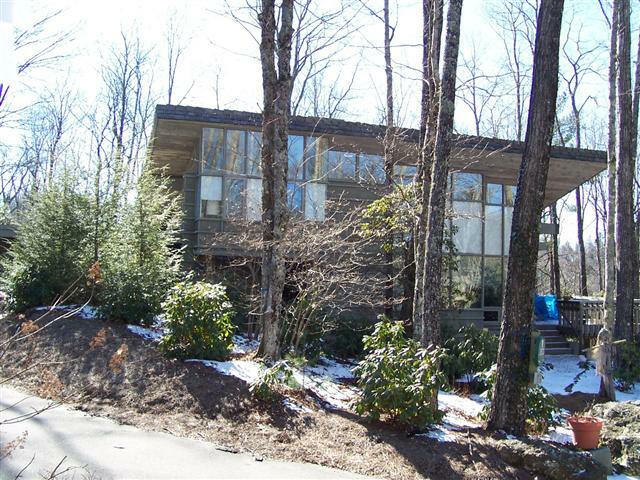 1972 - The M. Jeffrey and Bettie White House, 148 Mountain Ash Lane, Highlands NC. 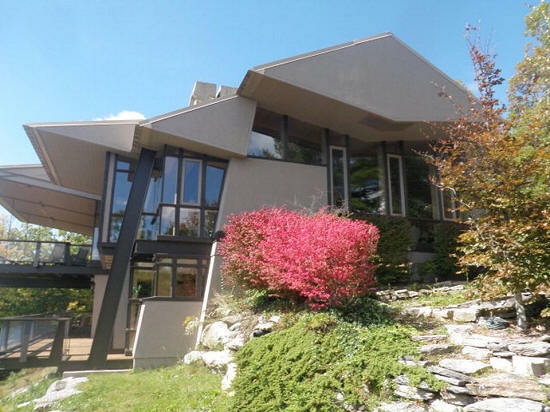 Sold in 1990 to Mary L. W. Rosch. 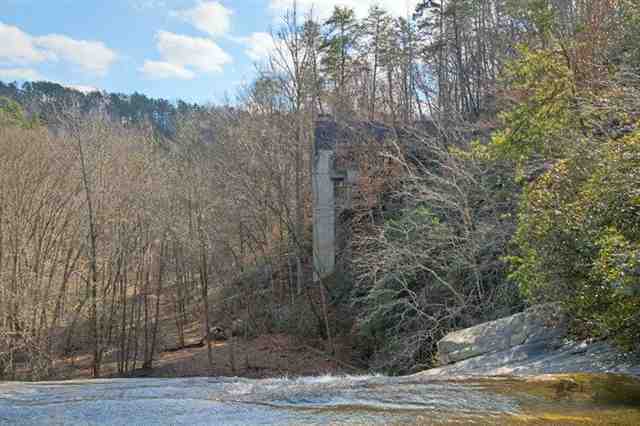 Sold in 1999 to the W. T. Green, Jr. Family Limited Partnership. 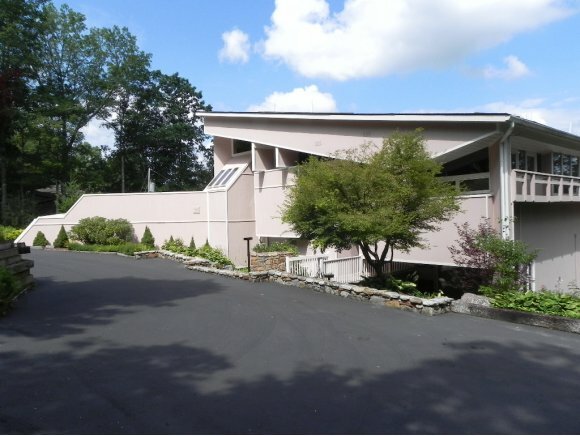 Sold in 2013 to Rose Tomasulo-Diamond and Carol Green Thompson. 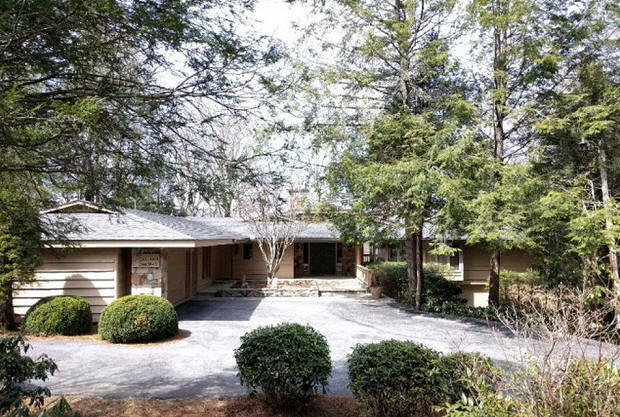 1973 - 365 Country Club Drive, Highlands NC. 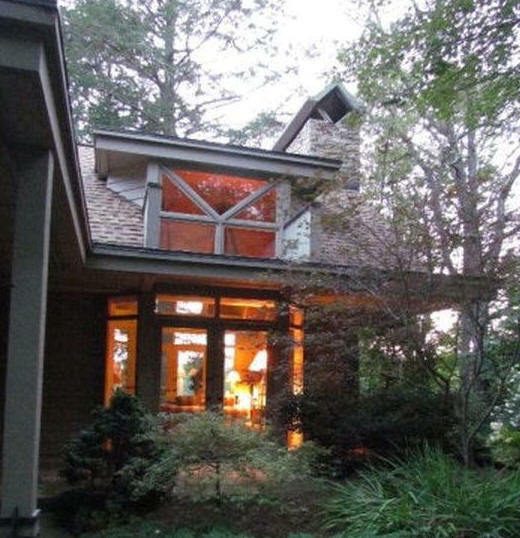 Sold in 2002 to Deborah Miller Ambrose. Sold in 2017 to William R. Hanley. 1973 - 45 Birch Point Lane, Highlands NC. In the Wildcat Cliffs Country Club. Also renovated by Fox. 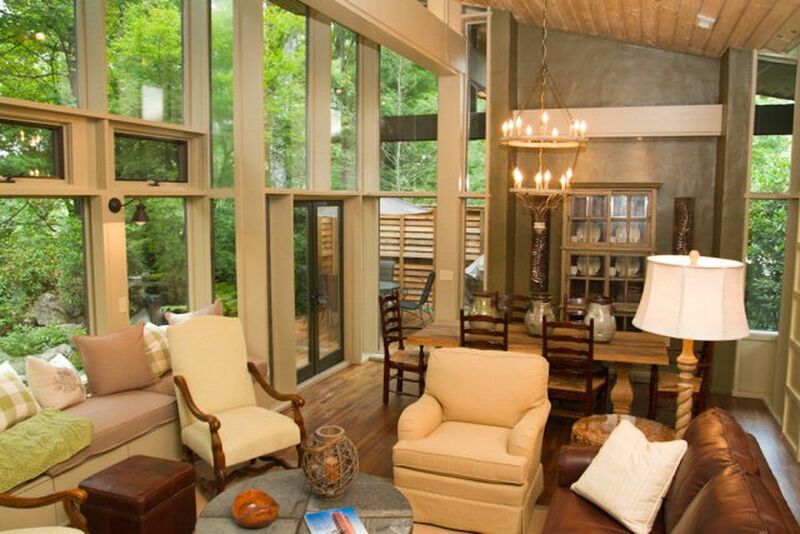 Sold in 2010 to Kenneth Earl Giddens Management Trust. For sale in 2016. 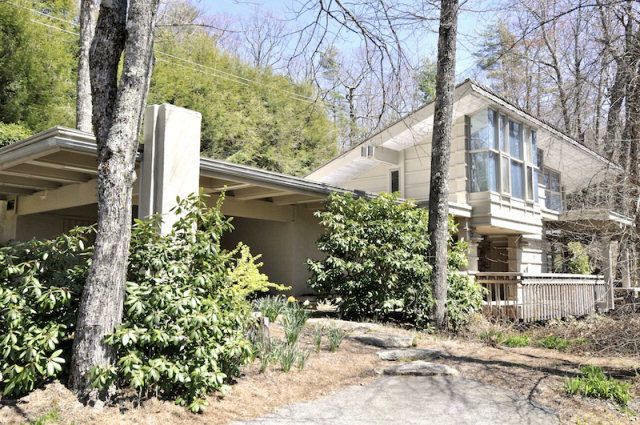 1973 - 1479 Whiteside Mountain Road, Highlands NC. Sat vacant and deteriorating for five years. 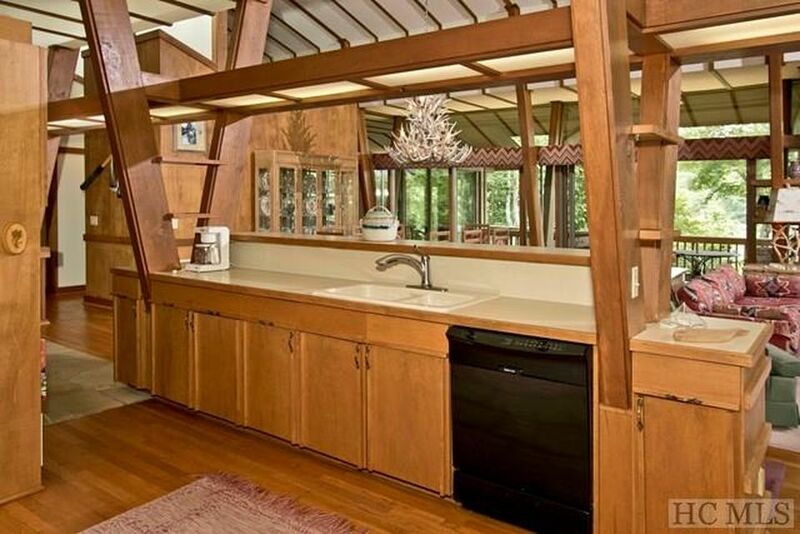 Sold in 1974 to J. Milton and Peggy B. Newton. Deeded in 2010 to Millard M. Bush, III. 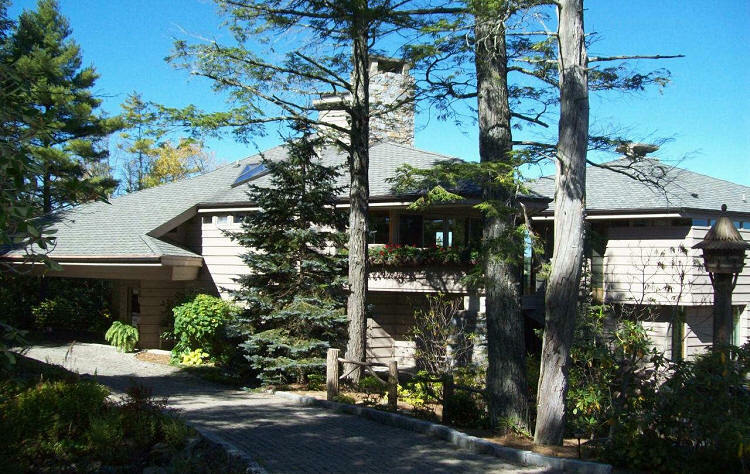 Sold in 2011 to Wildcat Ridge, LLC. 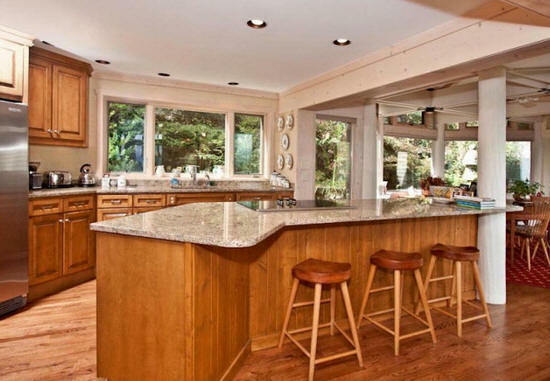 Sold in 2014 to Jimmy L. Sweat and Peter Almerico, Jr., who are renovated. 1973 - The Trus Joist House System. Unsure if built. 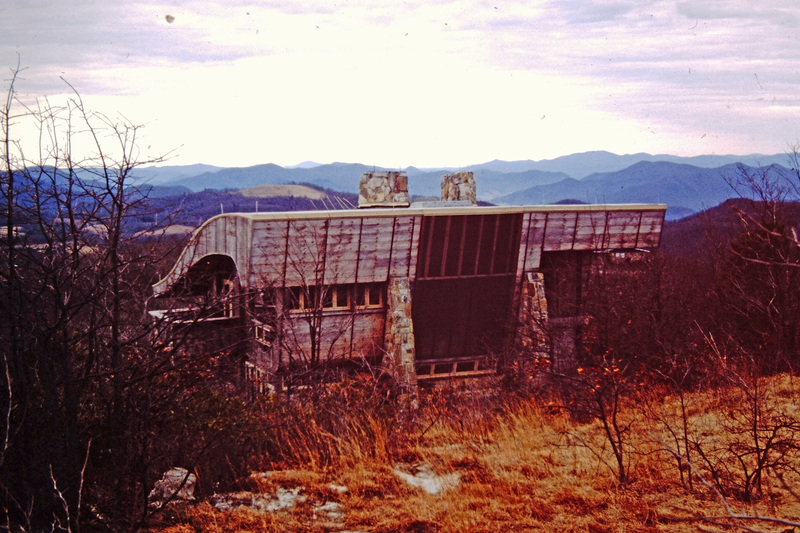 1974 - The Leo J. Heaphy Residence, Asheville NC. Unsure if built. 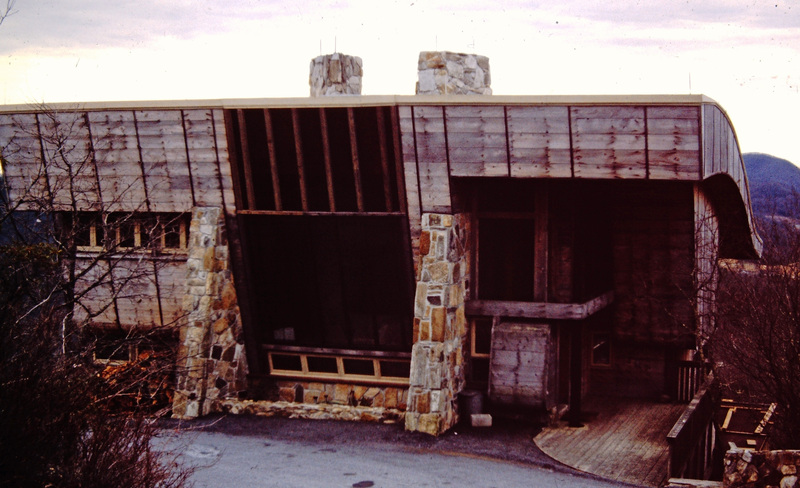 1975 - The Ethelwynne E. and J. J. Asbury, Jr. House, 81 Stillmont Circle, (sometimes labeled as 210) Cashiers NC. Has been altered. Vacant for 12 years. 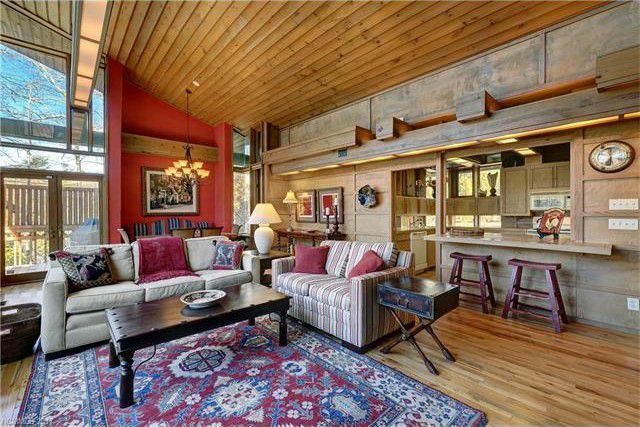 Sold in 1993 to Richard R. Silvin and Robert D. Mann. 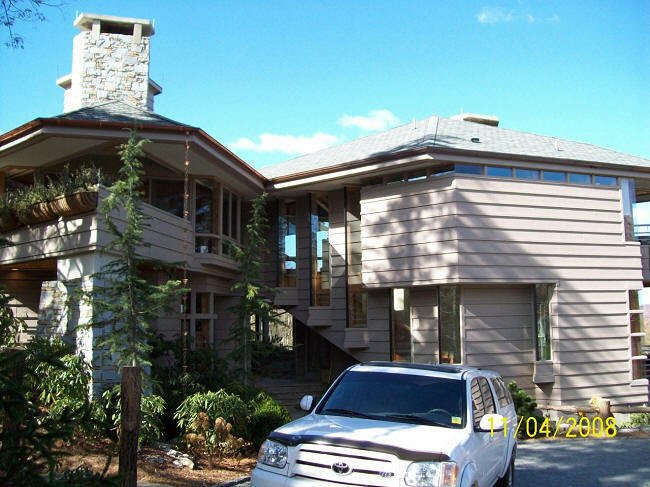 Sold in 2005 to High Ridge Investments, LLC. 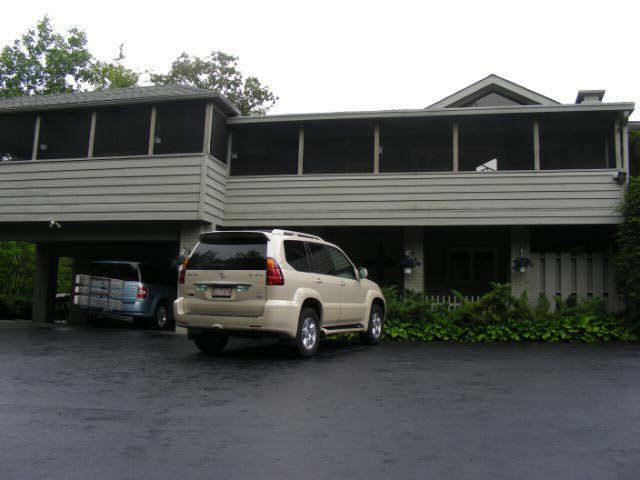 Sold in 2007 to Captiva, LTD. Sold later in 2007 to NC Rentals, LLC. Sold in 2017 to Bill and Stephanie Edwards. 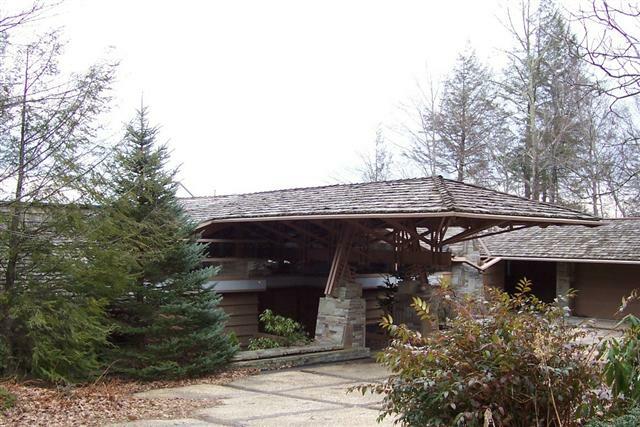 1976 - The Addison L. and Bessie H. Rabideau House, 672 Cherokee Trail, Sapphire NC. Sold in 1980 to Charles L. and Jean A. Towers. 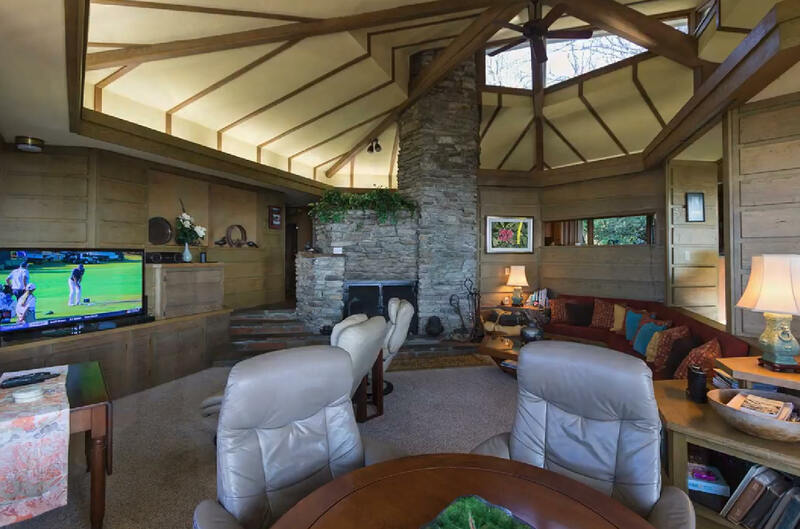 Sold in 1985 to Don W. and Grace H. Sentell. 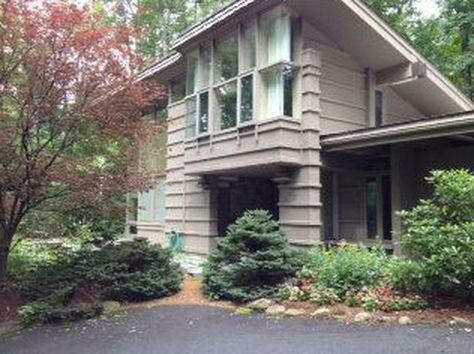 Sold in 2013 to Paul and Karen S. Van Weelden. 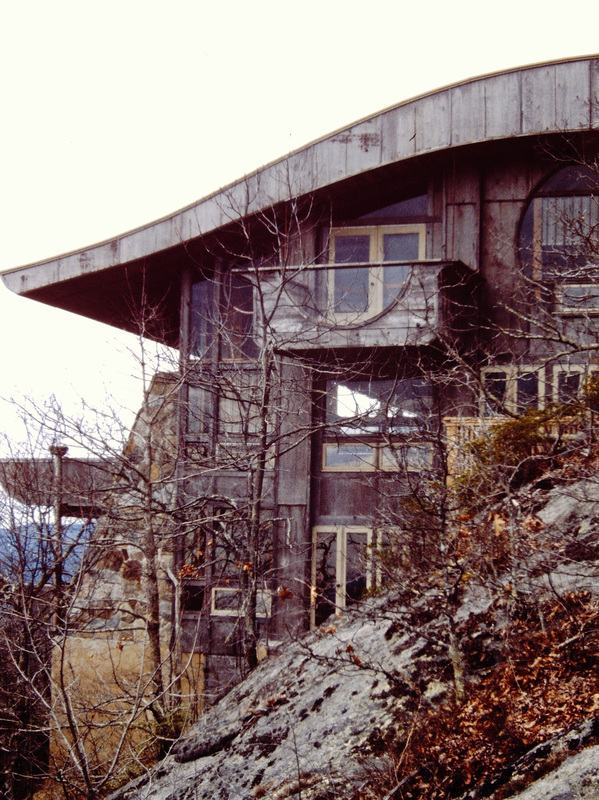 1976 - The Hovey Residence, Shortoff Mountain NC. Unsure if built. 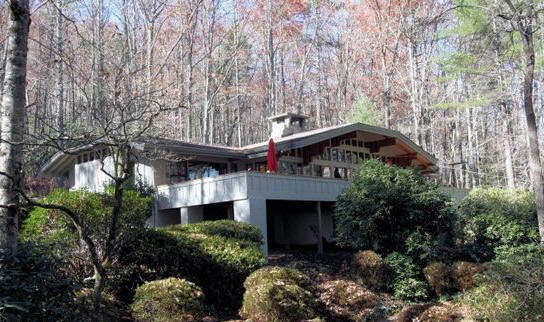 1977 - The Hampton House, aka H'ir Hampton, 228 Golf View Road, Sapphire NC. 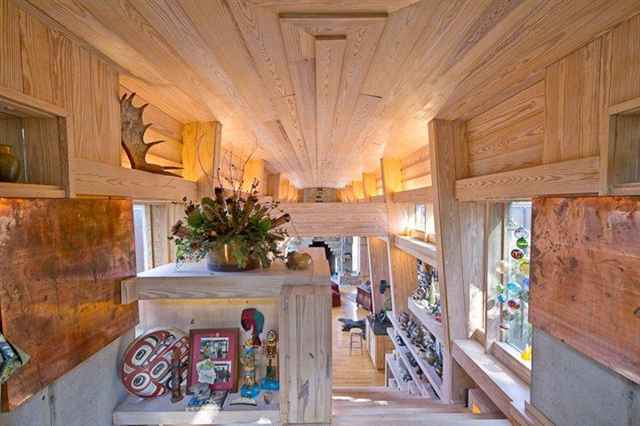 Sold in 1976 to Hanley W. and June M. Wolf. 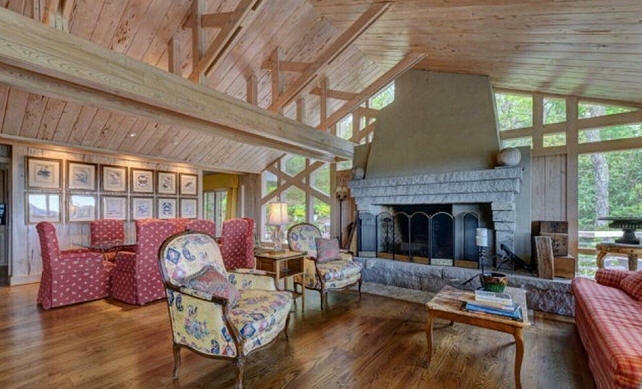 Sold in 1995 to Earl H. and Patricia K. Archer. 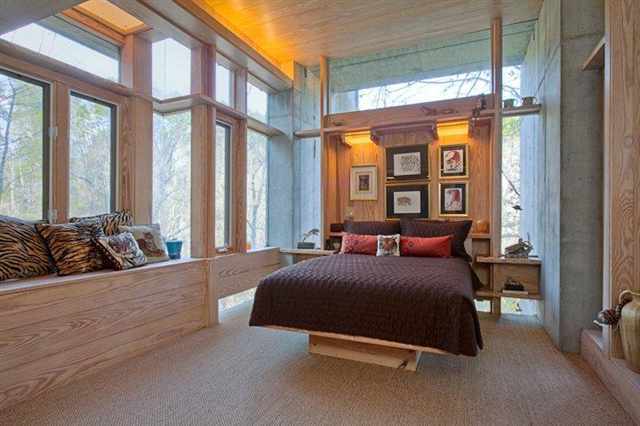 Sold in 1999 to Philip and Elaina Hampton. Sold in 2018 to Christy D. Jones. 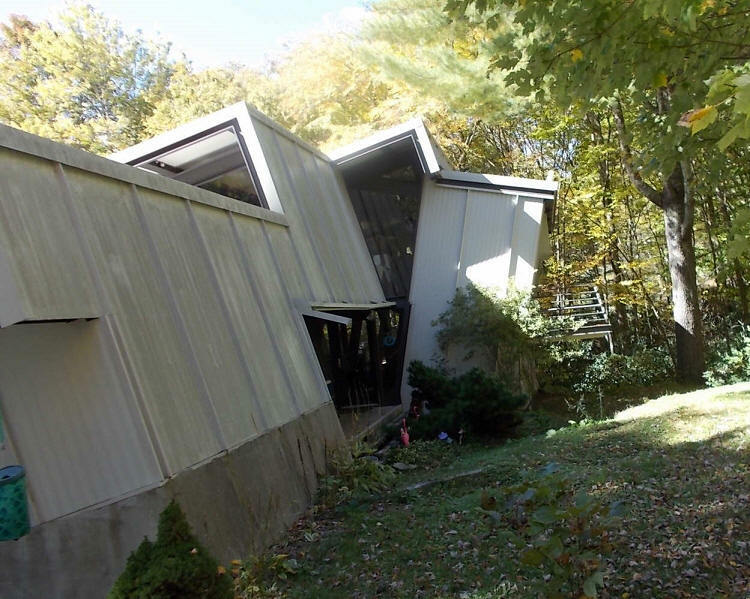 1977 - The Gerry Wende House, Fairfax VA. Unsure if built. 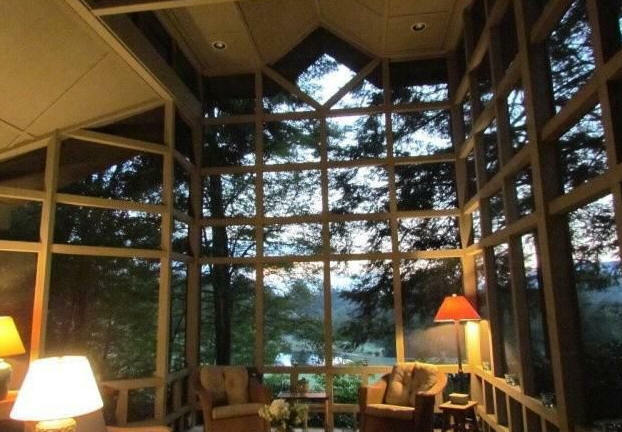 1978 - The Eugene M. and LaRue S. Frame House, 635 Cowee Ridge Road, Highlands NC. 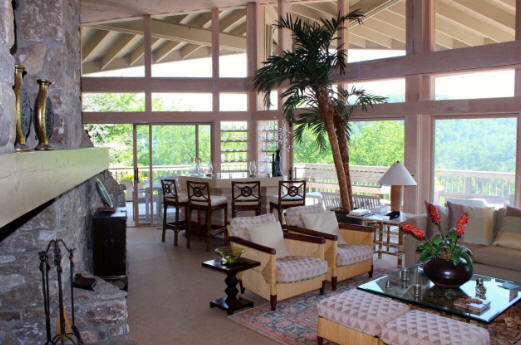 Sold in 1980 to John D. McKey, Jr. Sold in 1988 to Roberta S. Murrah, later known as Roberta S. Hodgson. 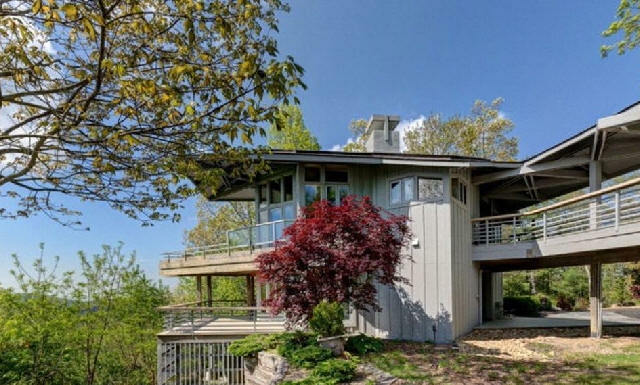 Deeded in 2005 to Mark S., Eric S., and R. Scott Murrah. For sale in 2019. 1979 - The Clammer B. and Betty C. Berkey House, 1954 Magnolia Drive, Highlands NC. Sold in 2004 to Jean T. Brown. 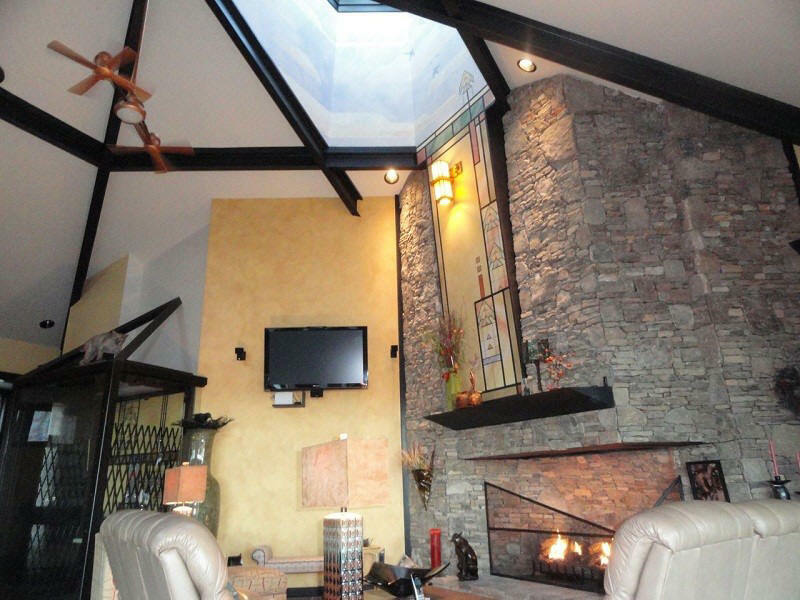 Deeded in 2013 to Troy A. Brown, Jr. Sold in 2016 to James M. and Phyllis A. Sprinkle. 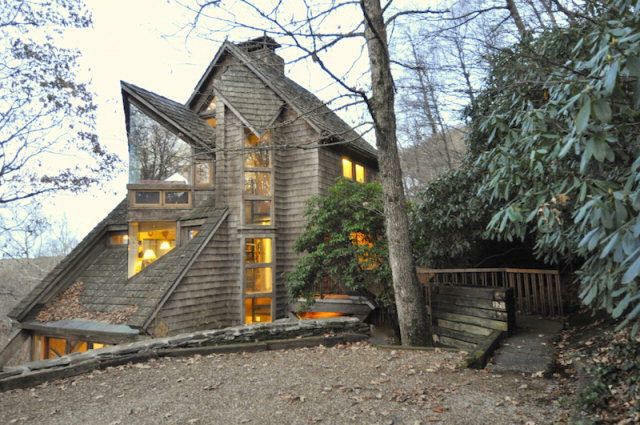 1979 - The Chad Drake House, Highlands NC. Beside a lake. Unsure if built. 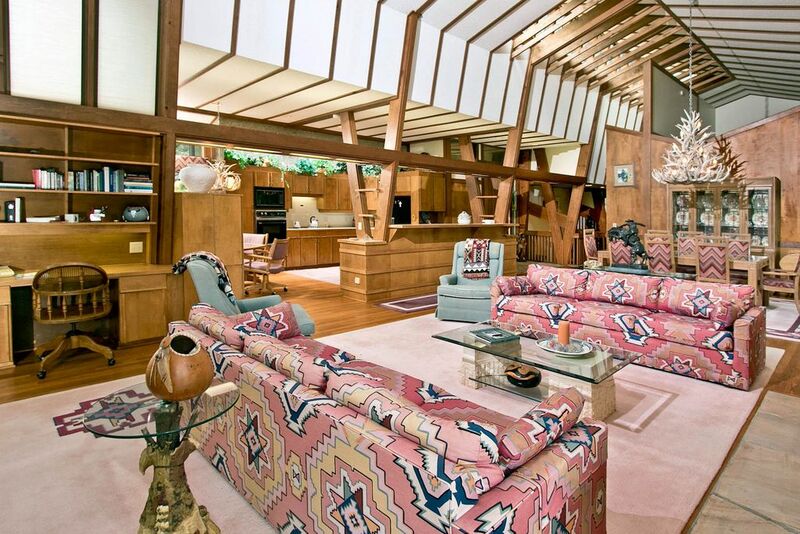 1979 - The John Bliudius Belevidere House, Illinois. Commissioned 1974. Unsure if built. 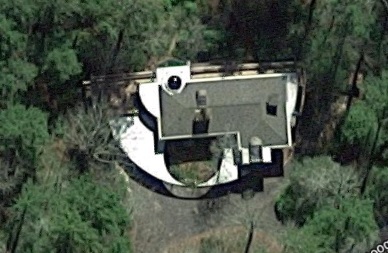 1979 - The Johnstone Residence, Pinehurst NC. Unsure if built. 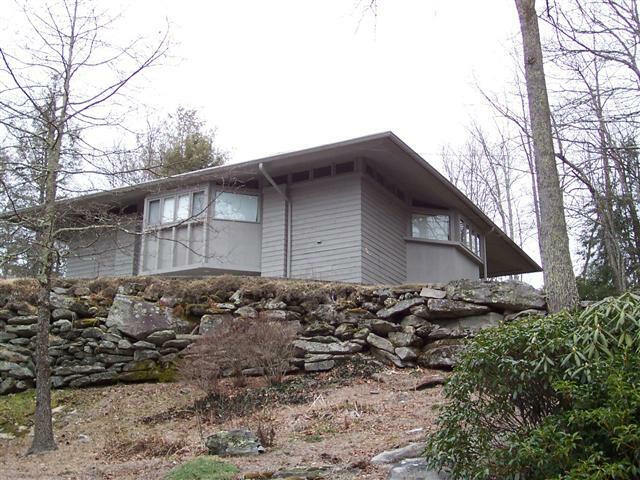 1980 - The Richard E. Schumacher House, 220 Mountain Ash Lane, Highlands NC. 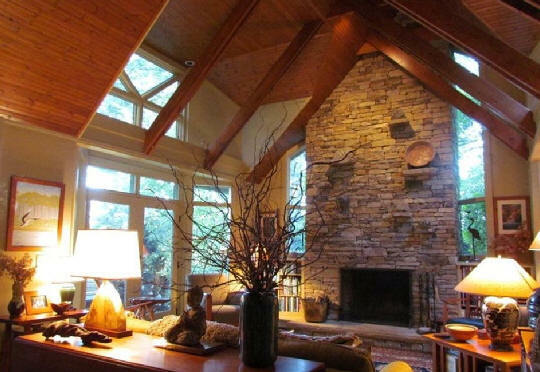 Sold in 2004 to Preston A. and Elizabeth Whaley. 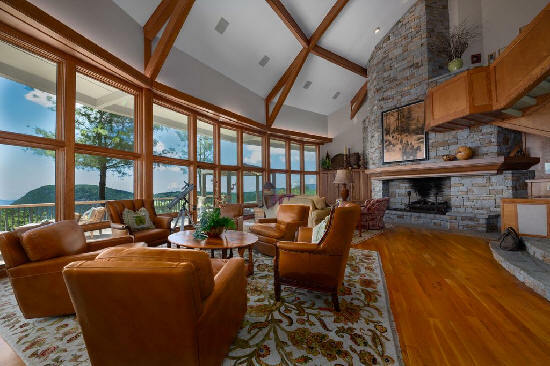 Sold in 2017 to Kimberly King and William R. Reed, Jr.
1980 - The John and Rosalie Jenkins Renovation, 1225 Whiteside Mountain Road, Highlands NC. 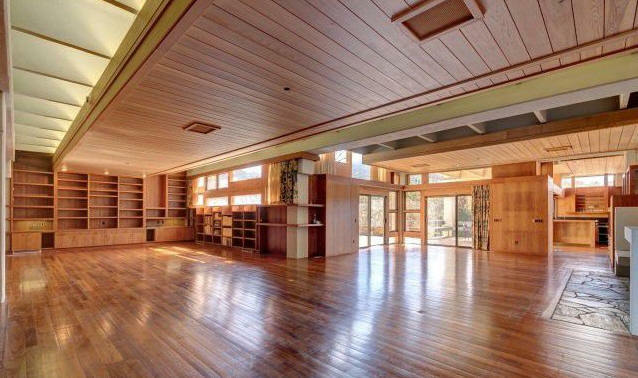 Original house built in 1940's. Deeded in 1996 to Judith (Judy) Jenkins. 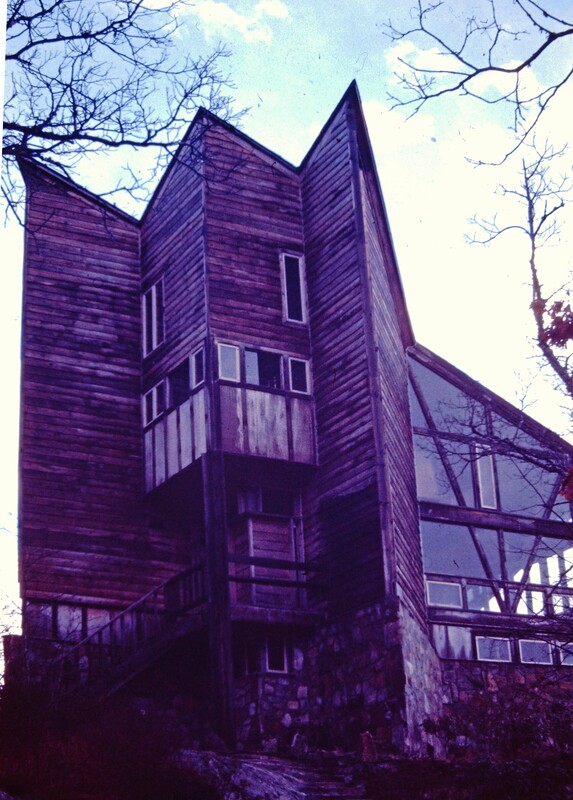 1980 - The Mark W. Maconi House, 731 Cowee Ridge Road, aka Kite House, Highlands NC. Sold in 1981 to Robert Lee. 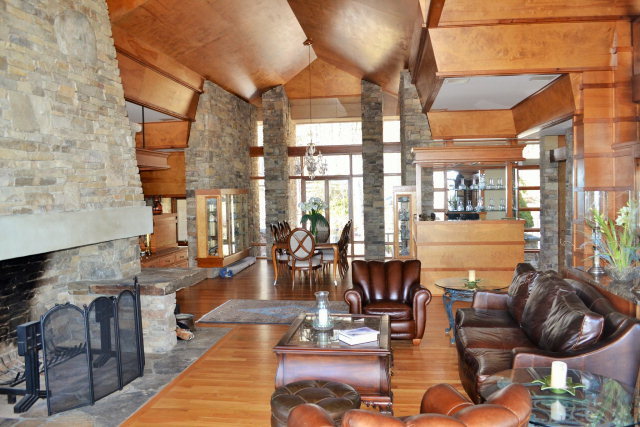 Sold in 1994 to Mark M. and Louise E. Gantar. 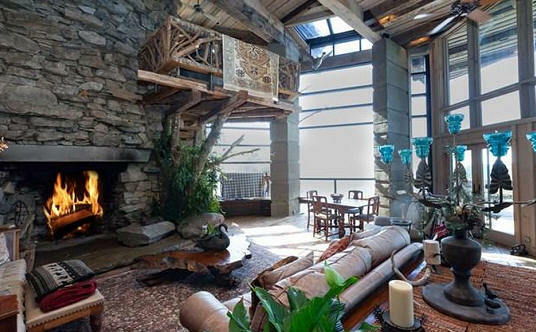 Sold in 2000 to Archie A. Hendry, III. Sold in 2015 to Melanie Ham and Jiwei Ye. 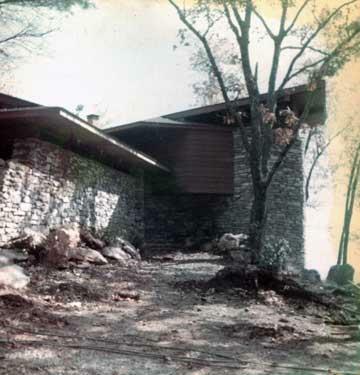 1981 - The Paul Neely House, 1534 Silver Run Road, Cashiers, NC. 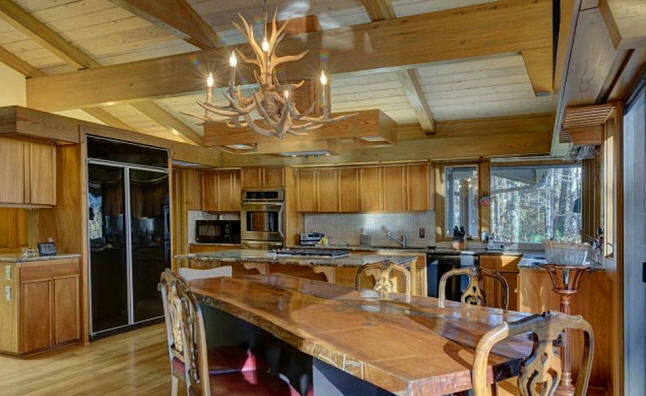 On 287 acres. 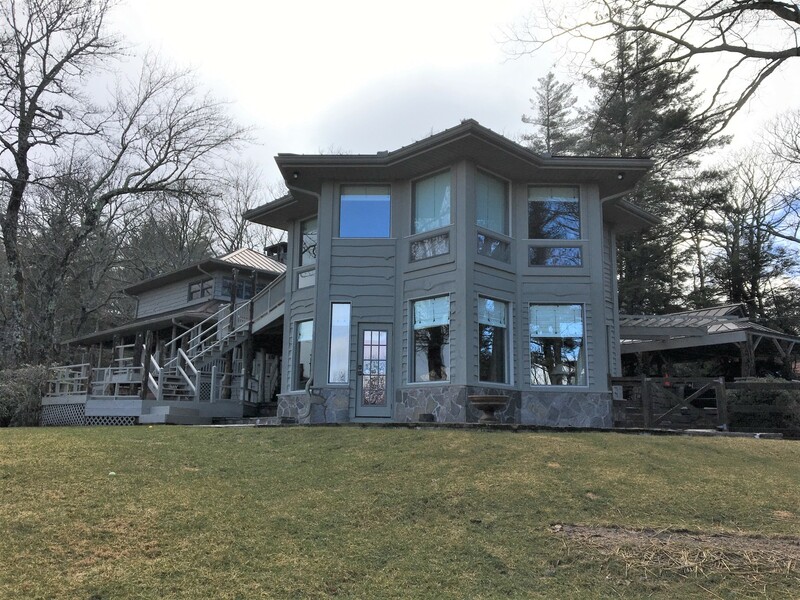 Sold in 2006 to Lee Joint Venutre, LTD and Latis II, Inc. Sold in 2018 to Silver Run Reserve, LLC. 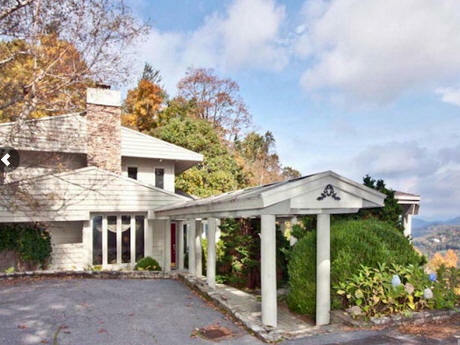 1985 - The Robert A. and Pamela Joy Morris, Jr. House, 220 Worley Road, Highlands NC. Sold in 1999 to Fay Deborah Gold. Sold in 2015 to Curtis Gunn. 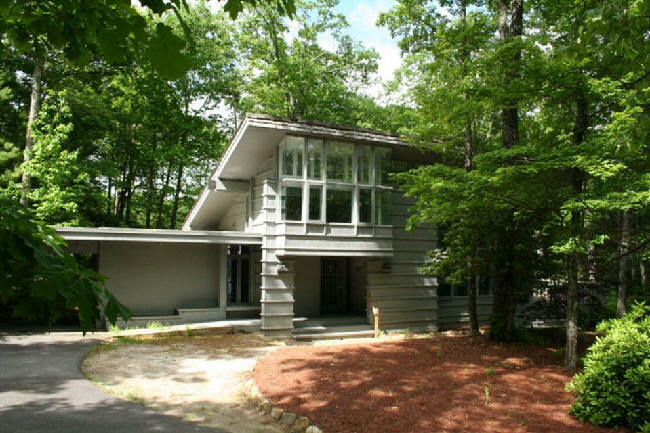 1985 - The George Downing House, Highlands NC. Unsure if built. 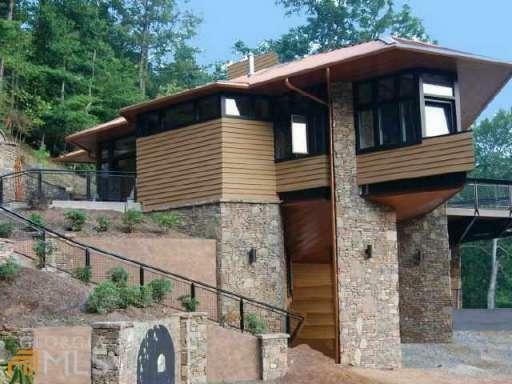 1985 - The Cliff and Gloria Geyer House, Wildcat Cliffs CC, Highlands NC. Unsure if built. 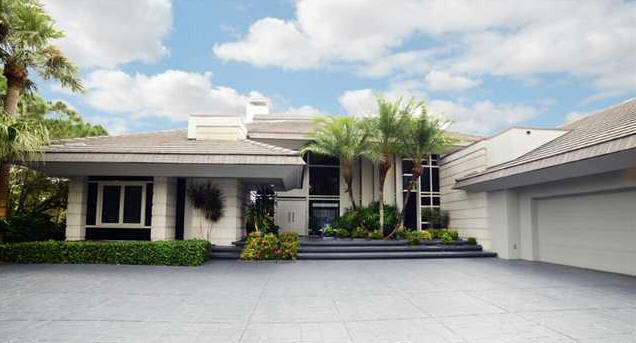 1985 - The Cliff and Gloria Geyer House, West Palm Beach FL. Unsure if built. Around 1986 - The Granville H. and Paulette V. Crabtree, Jr. 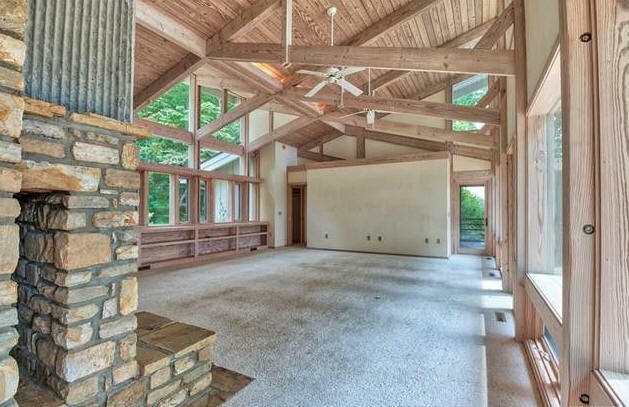 Addition, 336 North Drive, Highlands NC. 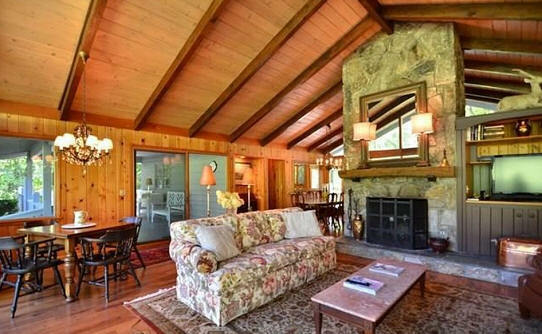 Original house built 1958. 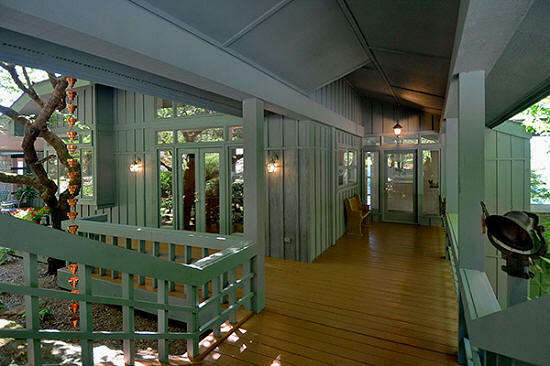 Sold in 1991 to Joseph Harper and Anne Hendrick Gaston. 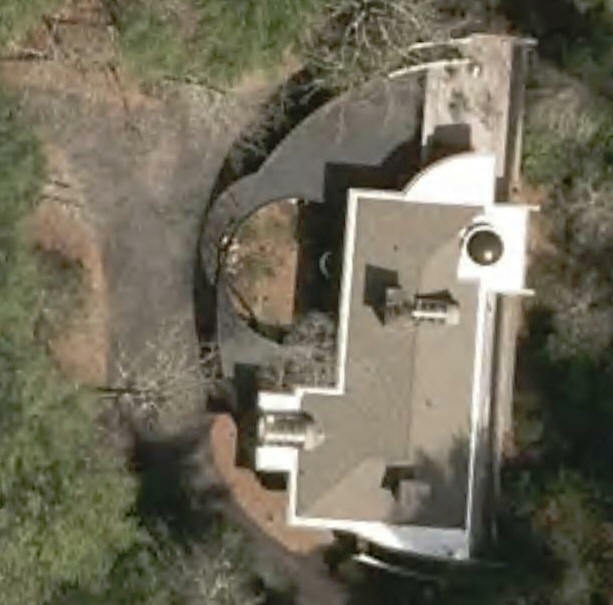 1986 - The Mincey Family Residence, Country Club of NC, Pinehurst NC. Unsure if built. 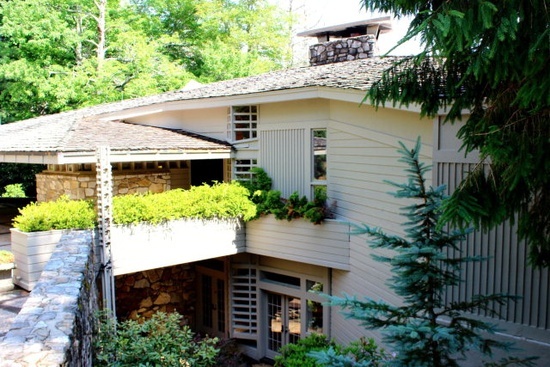 1986 - The Harry N. and Alice K. Gifford House, 175 Cliffmont Road, Cashiers NC. 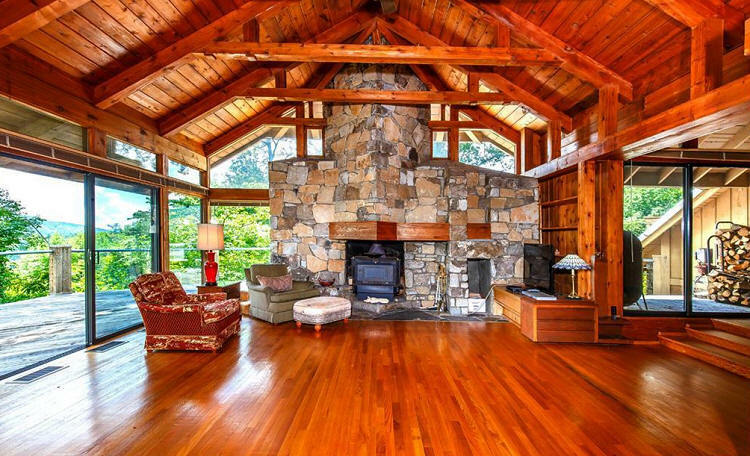 Deeded in 1995 to Scott A., Douglas K., Charles J., and Gail L. Gifford. 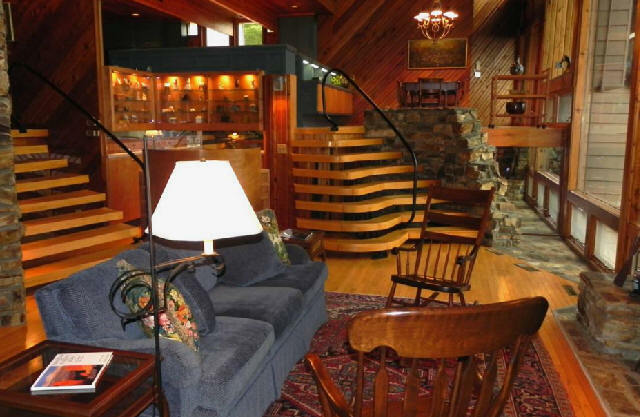 Sold in 1996 to Charles W. and Joyous M. Miller. 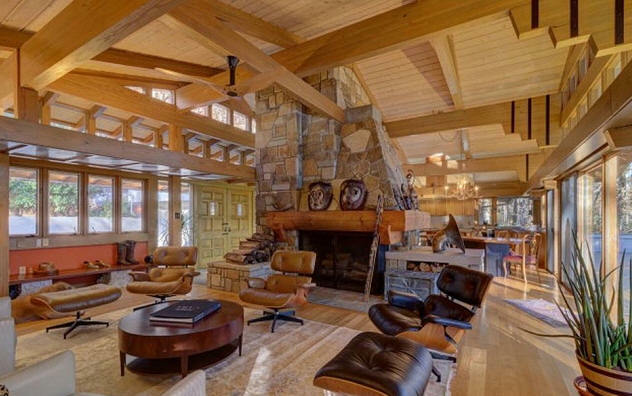 Sold in 2018 to Charles S. and C. Dunwreath Swanson. 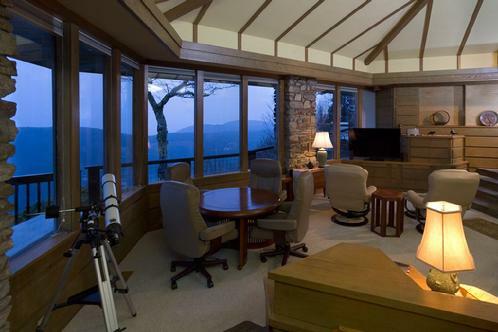 1987 - The Ervin and Elizabeth (Beth) Jackson, Jr. House, aka Circular Mountain House, 608 Chattooga Woods Road, Cashiers NC. Renovation in 2007. 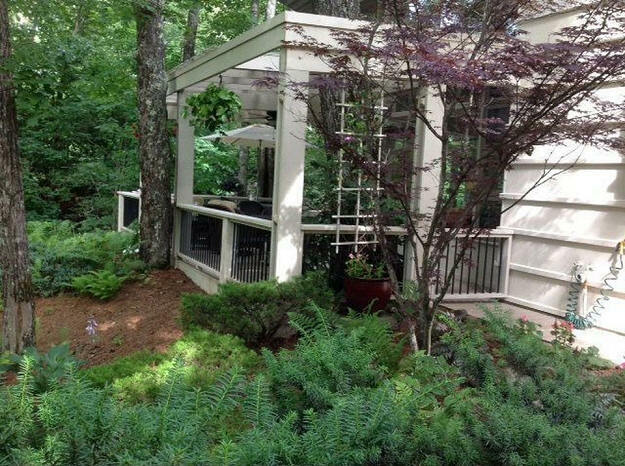 Deeded in 2009 to Ivey Jackson Sumrell and Katherine Jackson Howe. 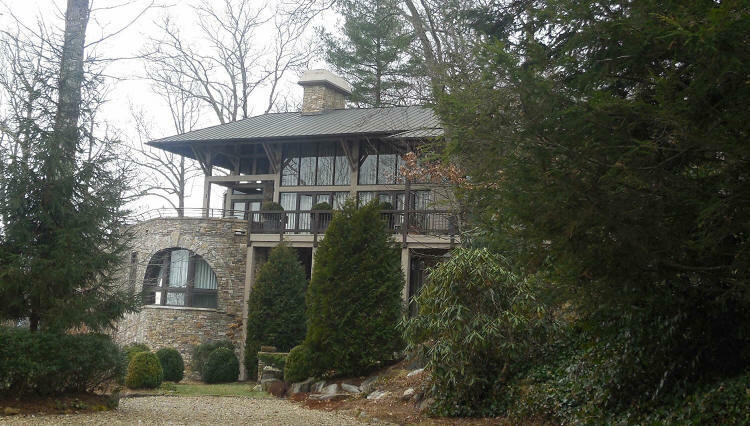 1989 - The James B. and Ruth Taylor Leonard House, 1005 Brushy Face Road, Highlands NC. Commissioned 1988. Sold in 2006 to STEC No. 06-3201, LLC. Sold in 2007 to Bank of America. Sold in 2009 to 1005 Brushy Face, LLC. 1989 - 2080 Upper Divide, Highland Falls Country Club, Highlands NC. 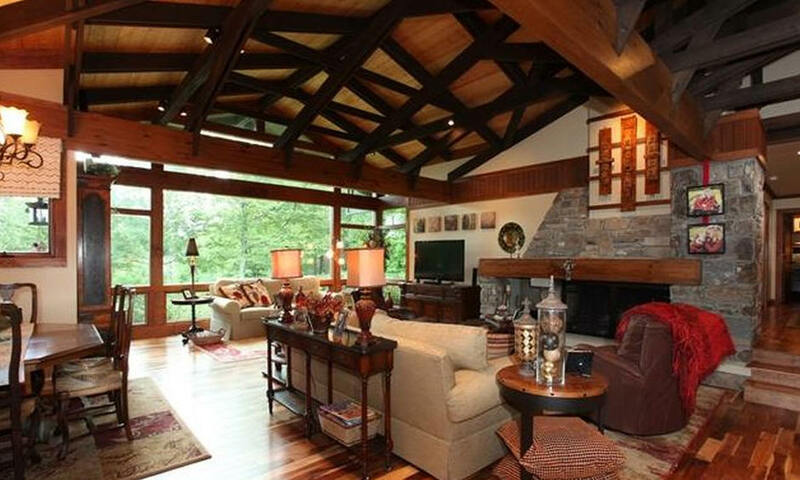 Sold in 1990 to Patrick E. and Marjorie P. Perrott. Sold in 2017 to Gary A. Hitchcock and Wade Martin. 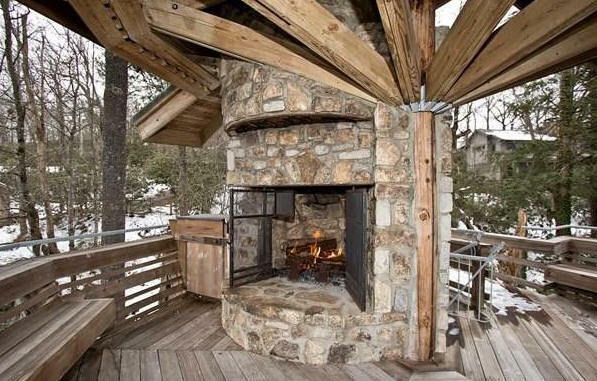 1990 - The Robert Eli and Frances C. Vaughn Gazebo, 1601 Big Bearpen Road, aka The Observation Tower, Highlands NC. Commissioned 1988. 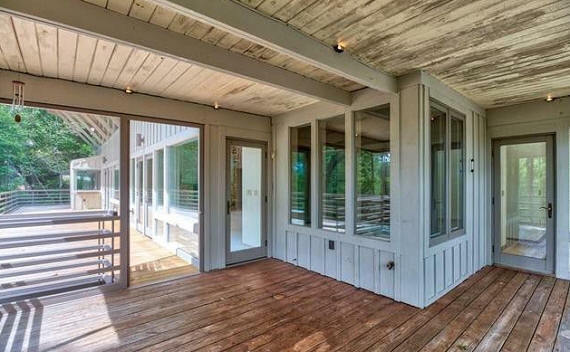 Includes about an acre. 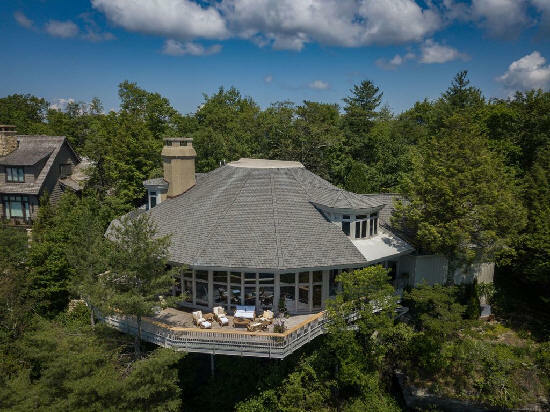 No house on the property, just the tower. 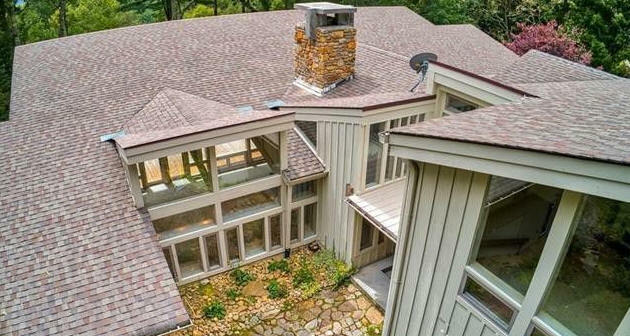 Deeded in 2005 to Robert Eli Vaughn, Jr. For sale in 2019. 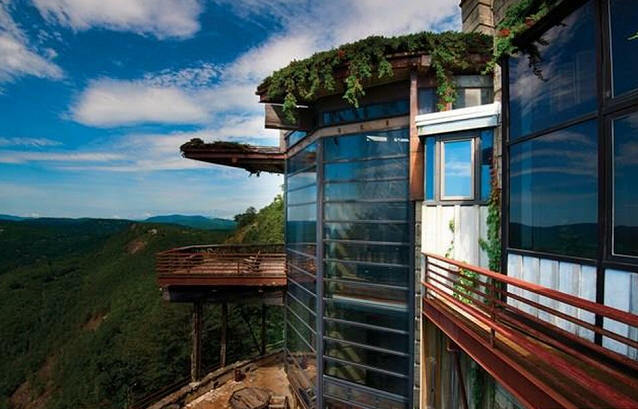 1993 - The Bill and Dottie Stose Residence, 1350 Whiteside Mountain Road, Highlands NC. Commissioned 1989. For sale in 2019. 1993 - The John and Shirley Shea House, Stuart FL. Unsure if built. 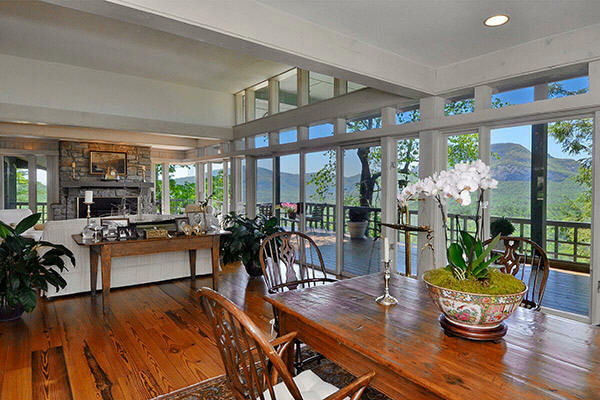 1994 - 2130 Magnolia Drive, Highlands NC. Sold in 2016 to J. Donald Morris. 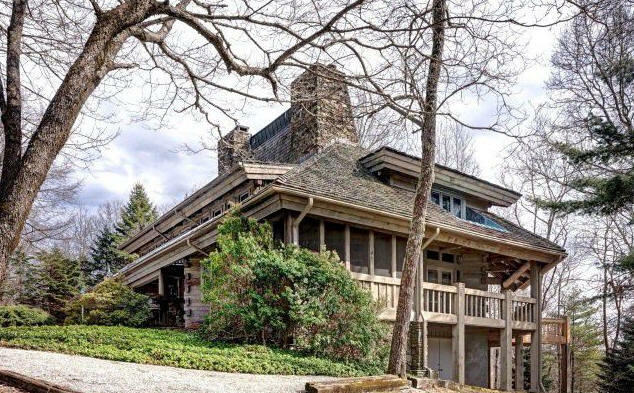 1995 - The James Edward and Lois Jean Thomas House, 1834 Big Sheepcliff Road, Cashiers NC. 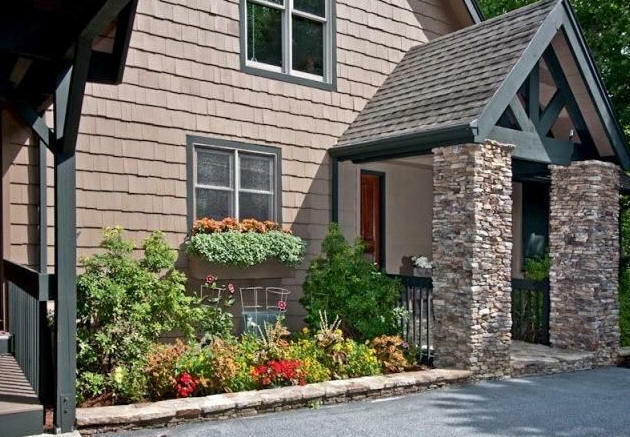 Sold in 2011 to Charles R. and Barbara A. Camerote Helms. For sale in 2019. 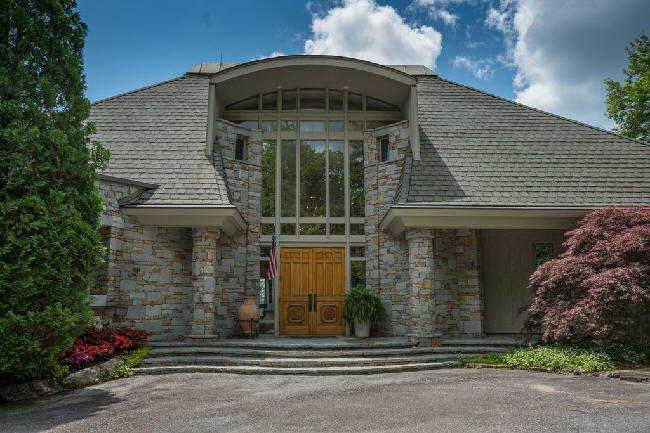 1996 - The Frank M. and Diane T. Warren, Jr. House 71 East View Way, Highlands, NC. 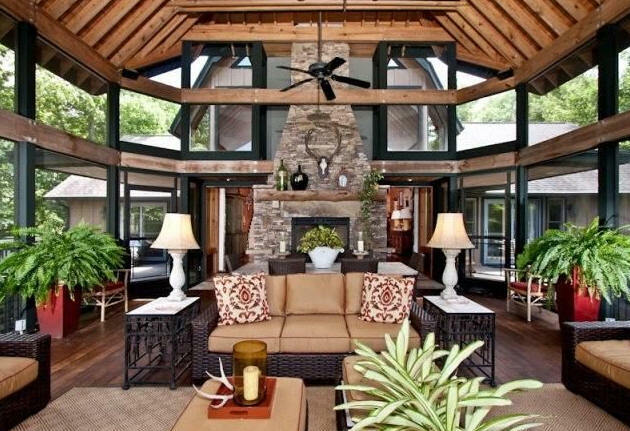 95 West View Way, Highlands NC. Sold in 2001 to Philip W. Clowdus and Jeffrey Morrison. 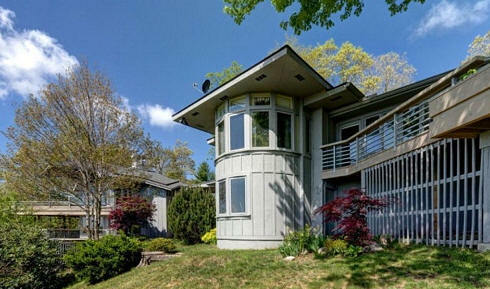 Sold in 2003 to Linda G. and Kenneth D. Rasbury. 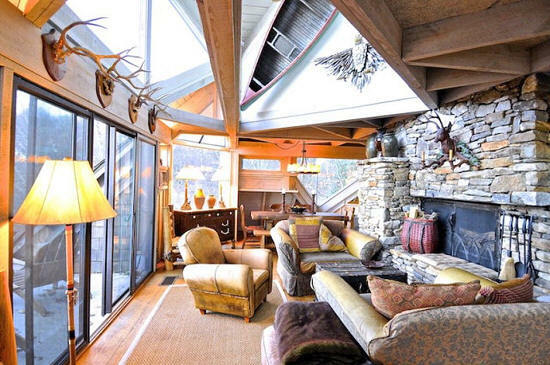 Sold later in 2003 to Irwin A. and Faye H. Siegel. 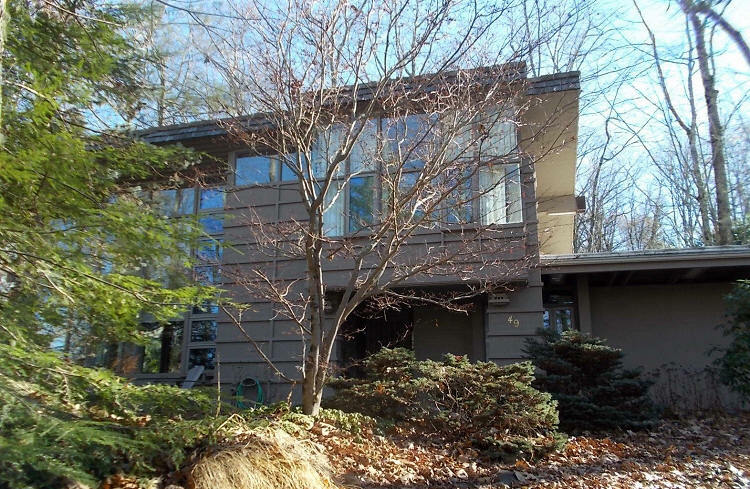 Sold in 2008 to William C. and Donna Lathem. Sold in 2016 to Dennis R. and Sandra G. Howard. 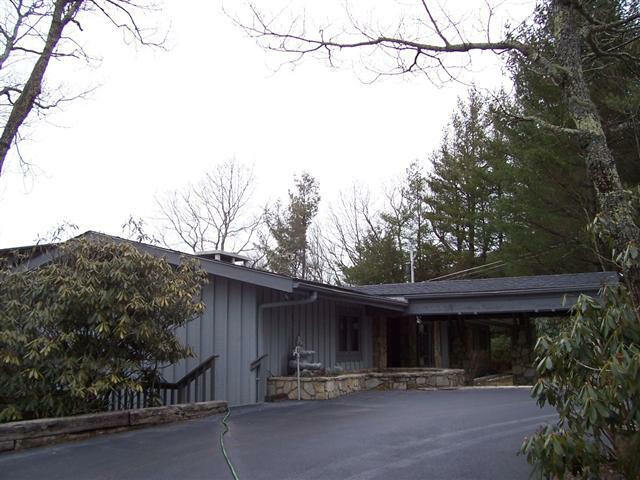 1997 - 30 Woodland Lane, Highlands NC. 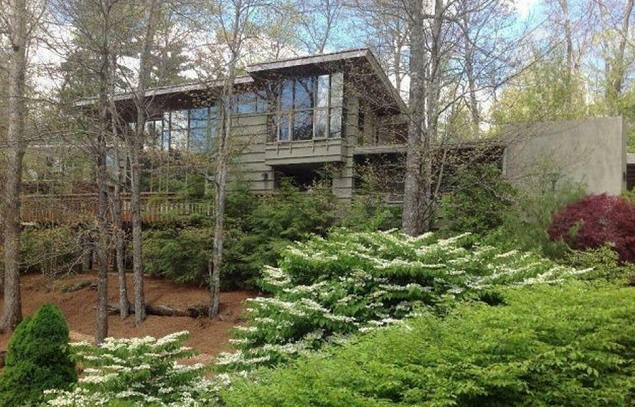 Sold in 2014 to Thomas J. Johnston, Trustee. 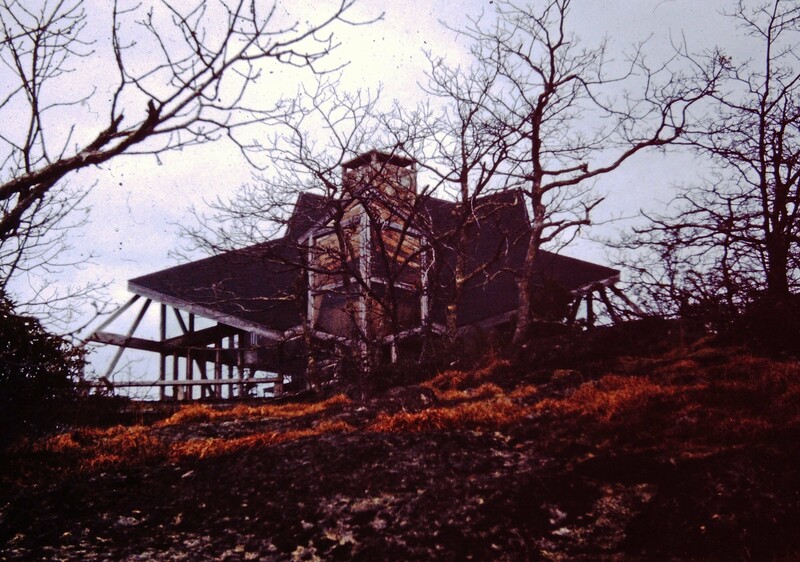 1997 - The Marguerite C. Toyne House, 156 Devils Courthouse View, Cashiers NC. 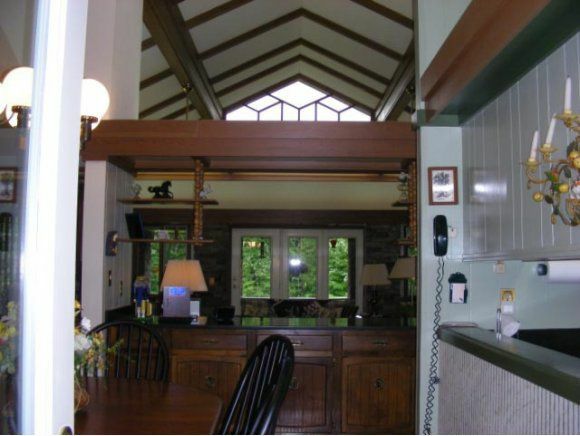 Sold in 2007 to David W. and Louise M. Struble. For sale in 2019. 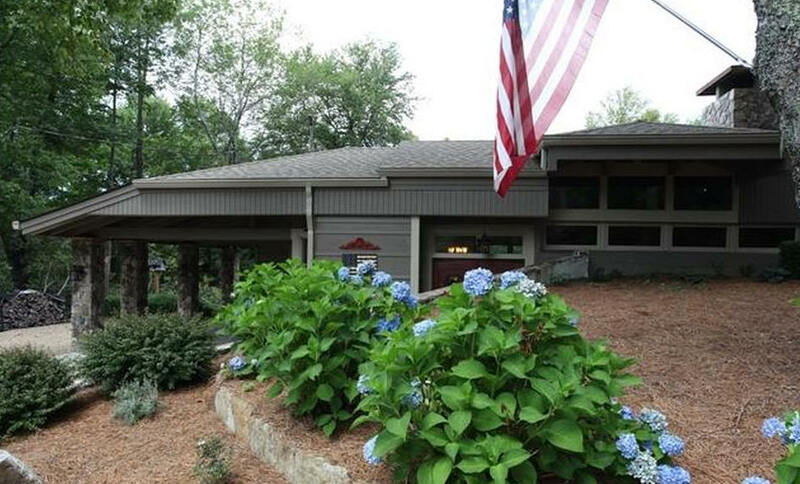 1998 - 49 Hickory Lane, Highlands NC. 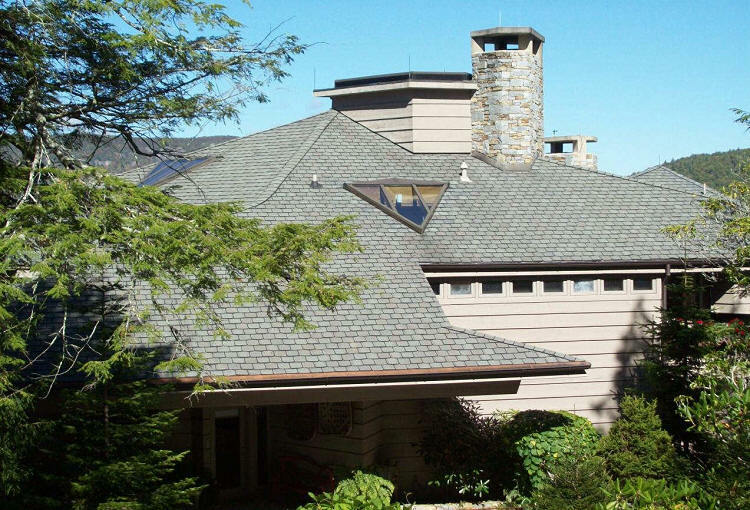 Sold in 1999 to Hamner Investments, LTD. Sold in 2005 to George H. and Nancy A. Troxell. Sold in 2014 to Scott D. Smith. 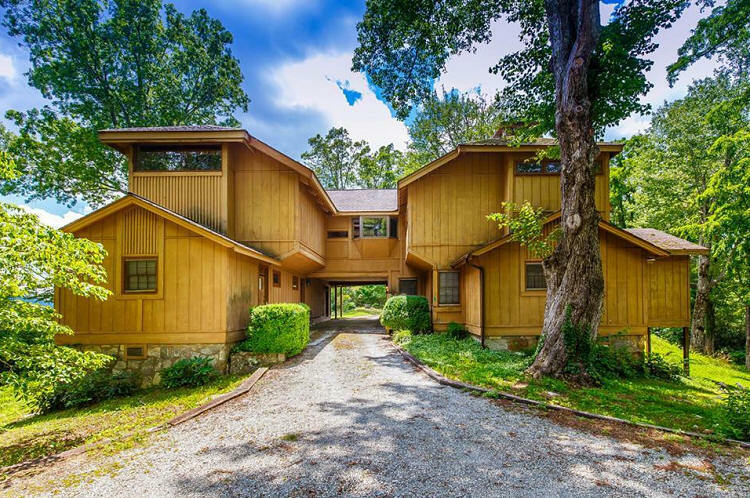 1998 - 53 Hickory Lane, Highlands NC. Sold in 2015 to William J. Moss, III. 1998 - 15 Woodland Lane, Highlands NC. 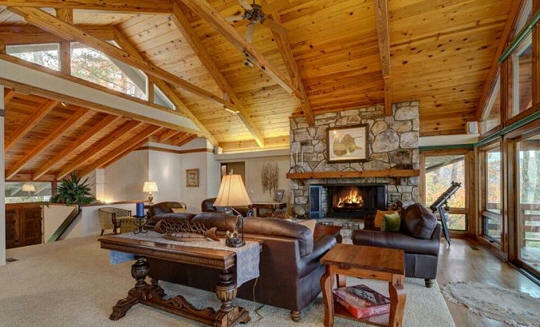 Sold in 2000 to Thompson M. Dietz, III. 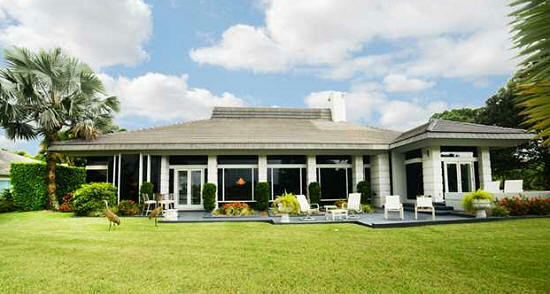 Sold in 2007 to K. Dean Geyer. 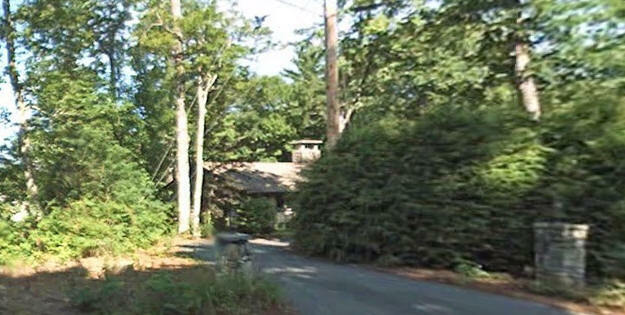 Sold in 2014 to James Willard and Lynda Joy Thompson. 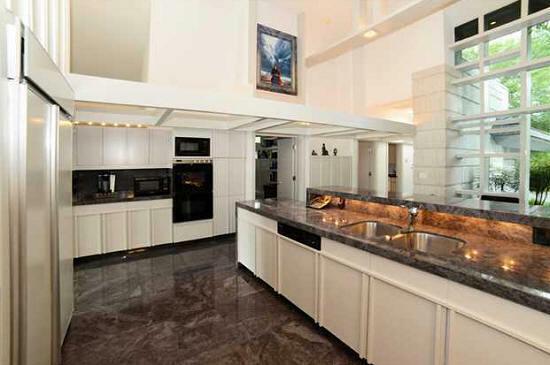 1998 - The Clifford Gould and Gloria Geyer House, 12781 Marsh Landing, West Palm Beach FL. 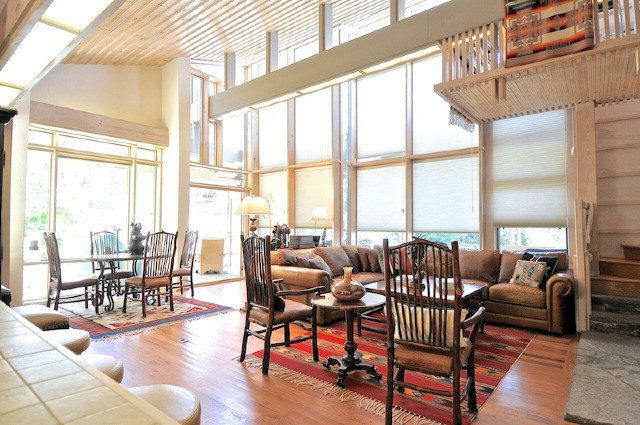 Sold in 2008 to Frank A. and Harmonie Schmalleger. Sold in 2013 to Jeannette B. Ristau. 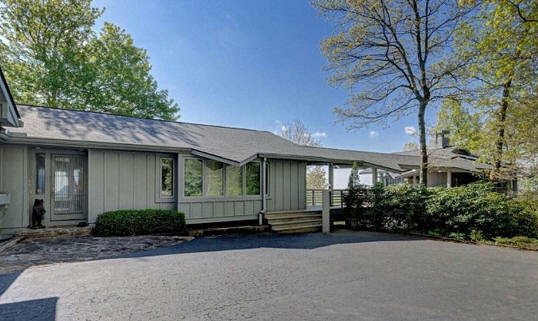 Sold in 2018 to Richard and Mimi S. Fischbein. 1999 - 58 Woodland Falls Road, Highlands NC. 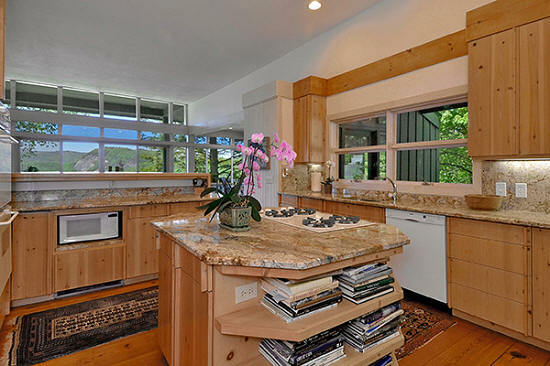 Sold in 2000 to Mary L. W. and Jack E. Rosch. Sold in 2004 to Jack Langer. Sold in 2017 to J. Preston and Margaret B. Martin. 1999 - 548 Old Liberty Road, Westminster SC. 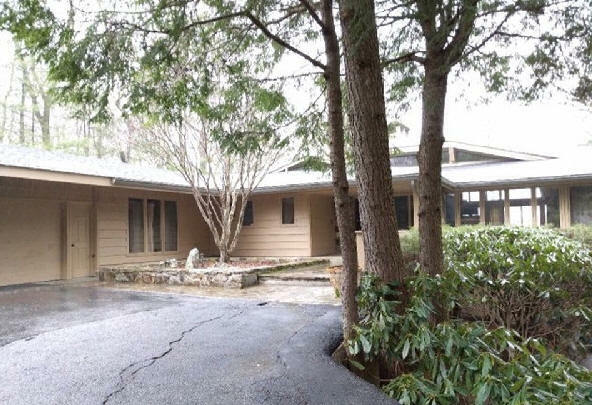 2000 - 63 Woodland Falls Road, Highlands NC. Commissioned 1997. 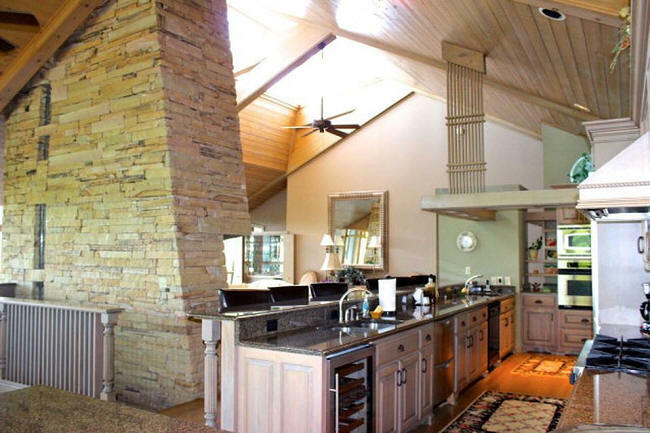 Sold in 2002 to Teri Jones. Sold in 2005 to Norman B. White and Kathryn Wilson. 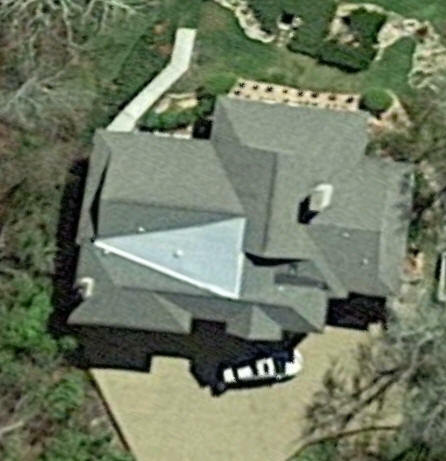 Sold in 2014 to Diana H. and Oliver A. Reynolds, III. 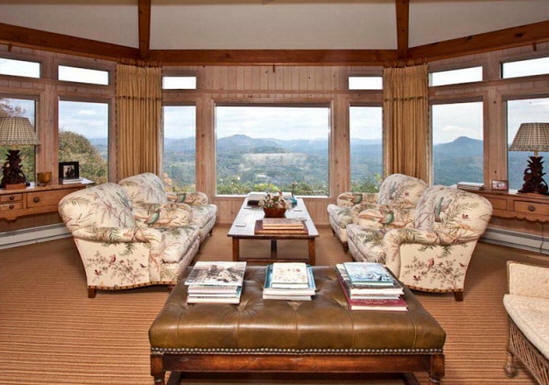 2000 - The James Howard Fox House, 78 Crisp Road, Highlands NC. Still owned by Fox. 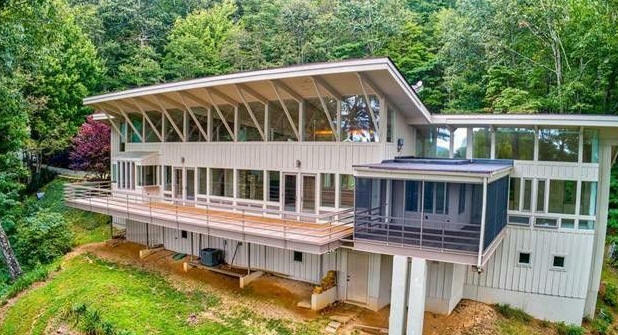 2000 - 446 Worley Road, Highlands NC. The Katherine Cooper Trust sold in 2018 to Sherri R. and Stephen Mark Ozcomert. 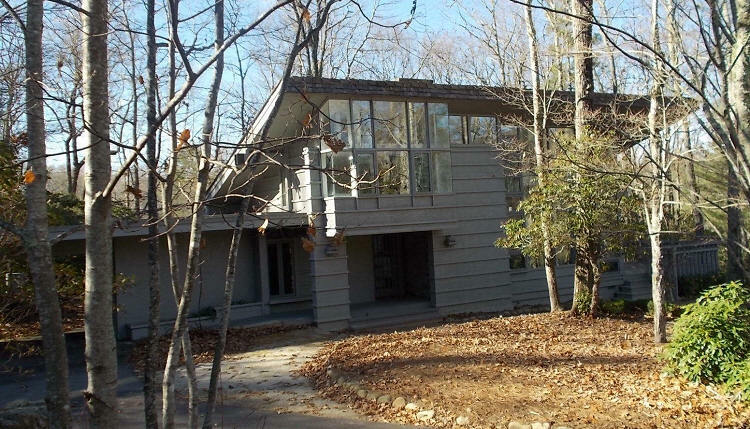 2001 - 90 Woodlands Falls Road, Highlands NC. 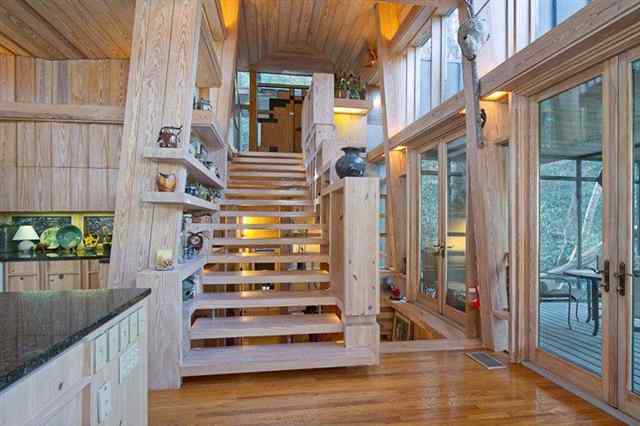 Sold in 2002 to Marvin S. and Mary Jeanette Haber. 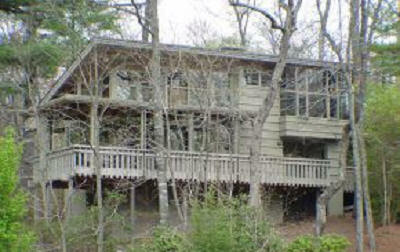 Sold in 2006 to James B. and Krist Ann Voyles. 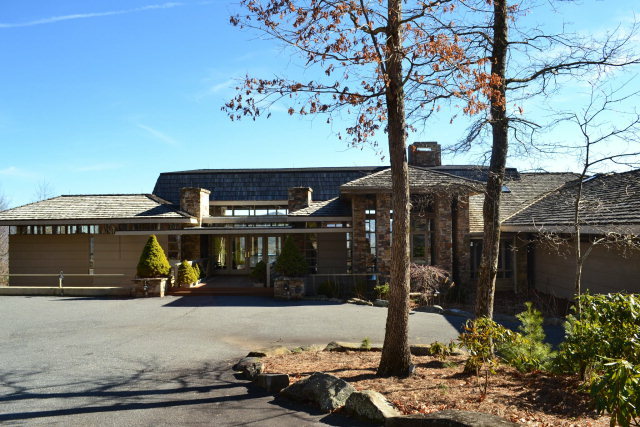 Sold in 2014 to Christopher Lee and Kitty Wilkerson Cottrill. 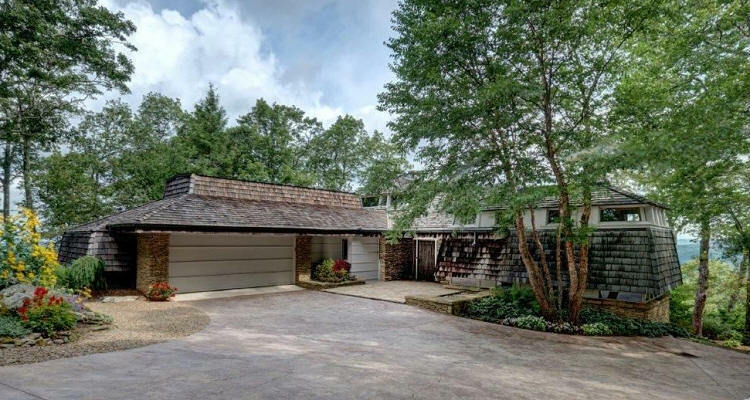 Sold in 2018 to George A. and Mary Elizabeth Deussing. 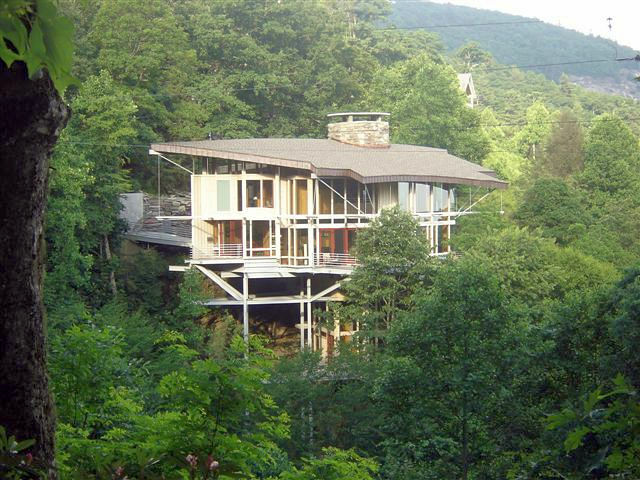 2002 - The Walter E. and Mary Halley Furr, Jr. House, 627 Sheepcote Road, Cashiers NC. 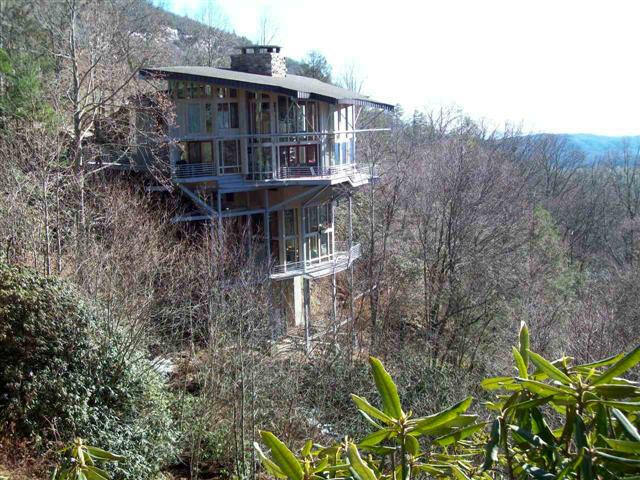 2006 - The Lynn S. and Ray Becker House, 31 Lovers Lane, Sky Valley GA. Available for rent. 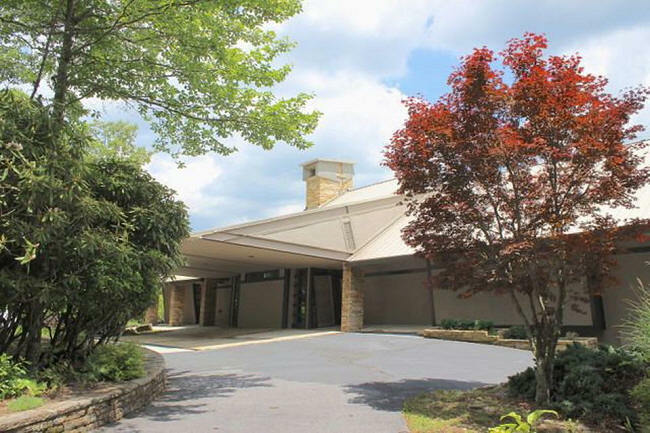 Around 2007 - The Daniel W. Boone, III Addition, 70 East View Way, Cullasaja Club, Highlands NC. Original house built 1998. 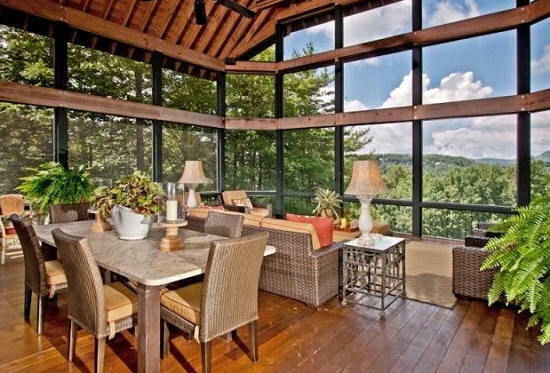 Deeded in 2010 to Susanna Boone Ver Eecke, Daniel W. Boone, IV, and Meredith Boone Tutterow. 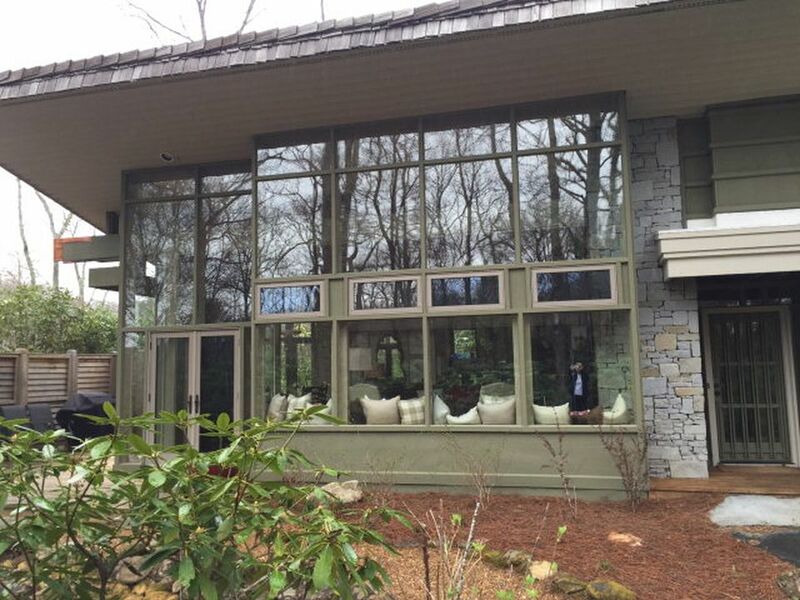 Deeded in 2014 to East View Way, LLC. 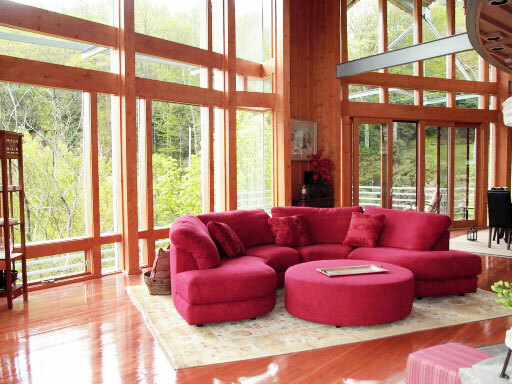 2008 - The Janice and Ernie Merkelis Residence, Highlands NC. Unbuilt. The foundation was built with Fox's design and supervision. Another architect took over but the house was never completed. 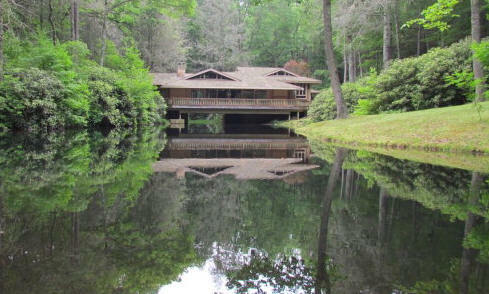 2008 - The Jim and Betty Ann Rodgers House, Cullasaja Club, Highland NC. Unsure if built. 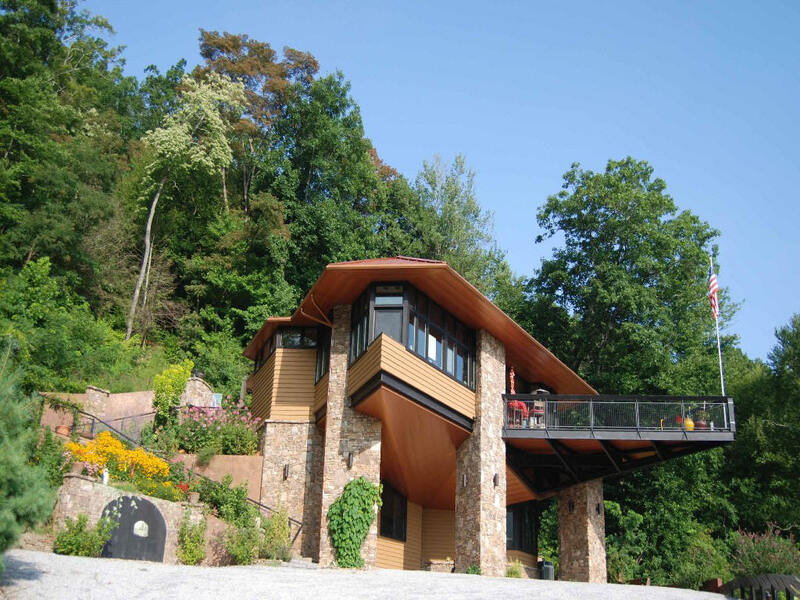 2010 - The McPherson Residence, Wildcat Cliffs, Highlands NC. Unsure if built. Year unknown - The Thomas J. Russell Jr., Far Hills, Somerset County NJ. 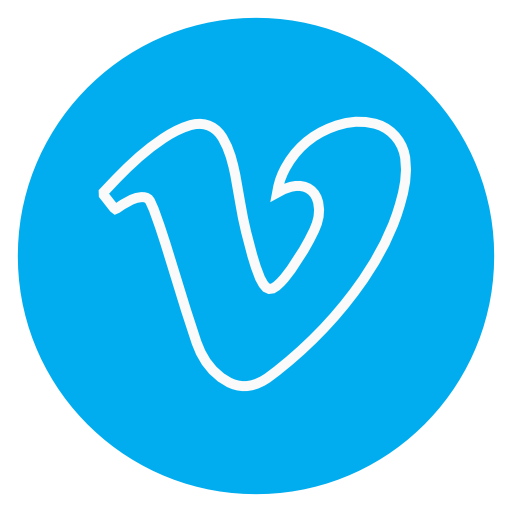 Several schemes. Unsure if built. 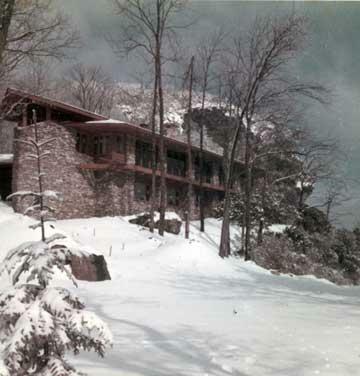 Year unknown - The Cascade Ridge House. Featured in Living Now Magazine. Unsure if built. Year unknown - The Legare House, Highlands NC. 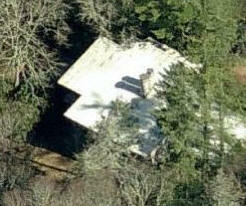 Sources include: James Howard Fox, wife Carol Fox, Scott Templeton, Stan Russell.